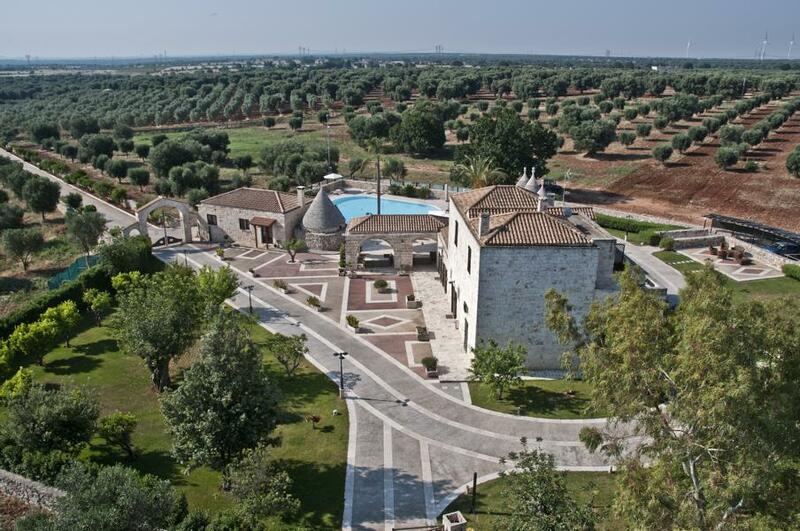 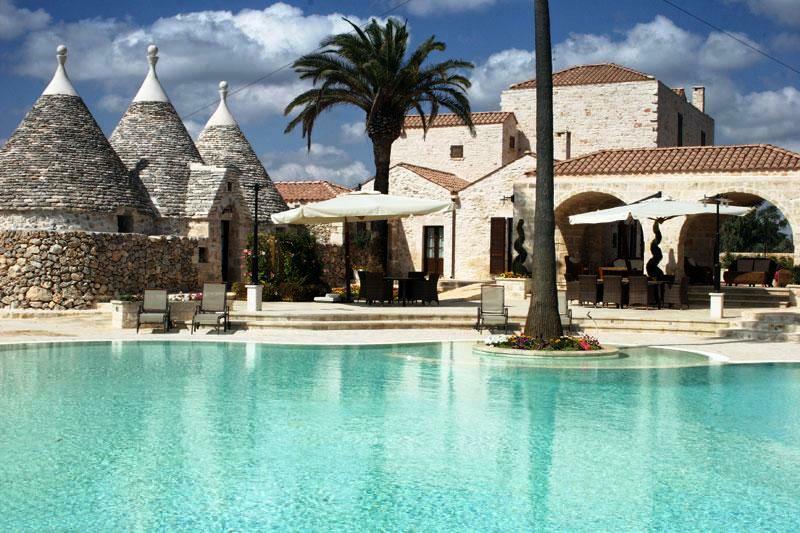 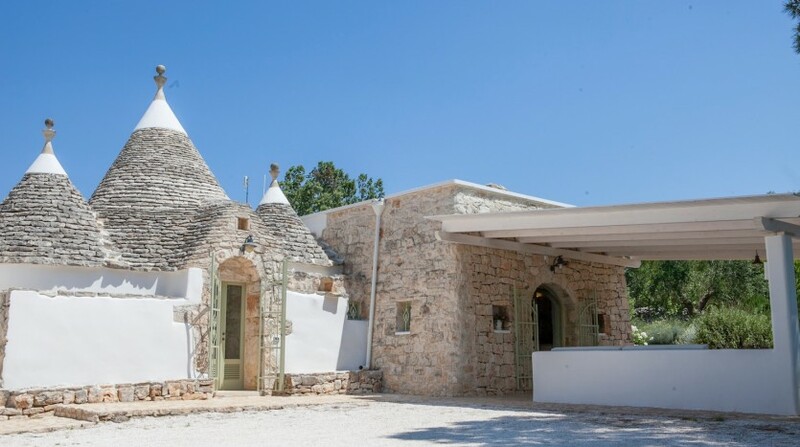 In Ceglie Messapica, in the heart of the Itria Valley in Puglia, between the white stone walls, the red parched earth and the lush green of the olive trees, lies the luxurious complex of Trulli, a traditional Apulian dry stone hut with a conical roof. 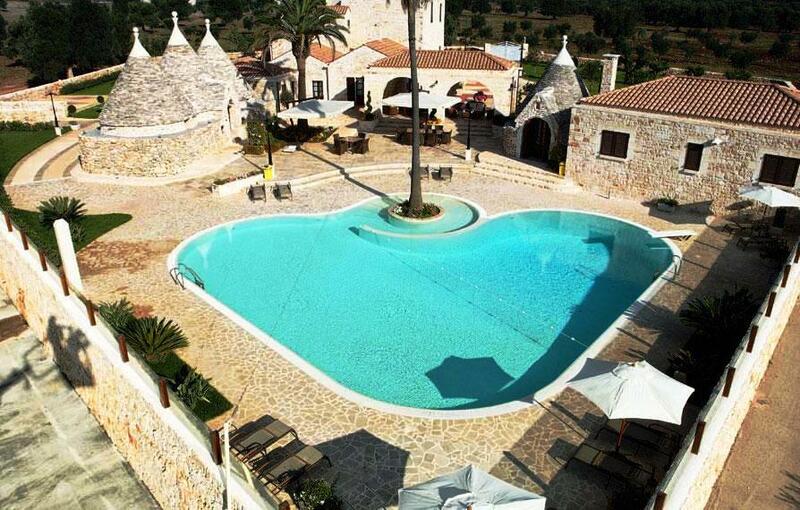 It also has it own private infinity pool. 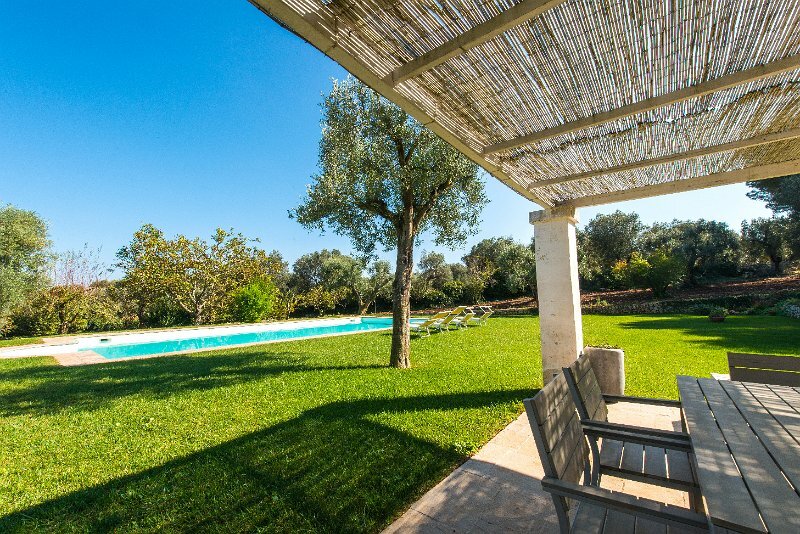 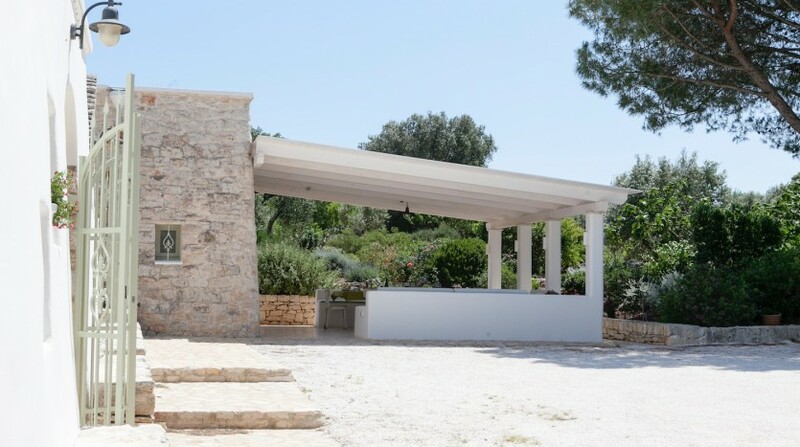 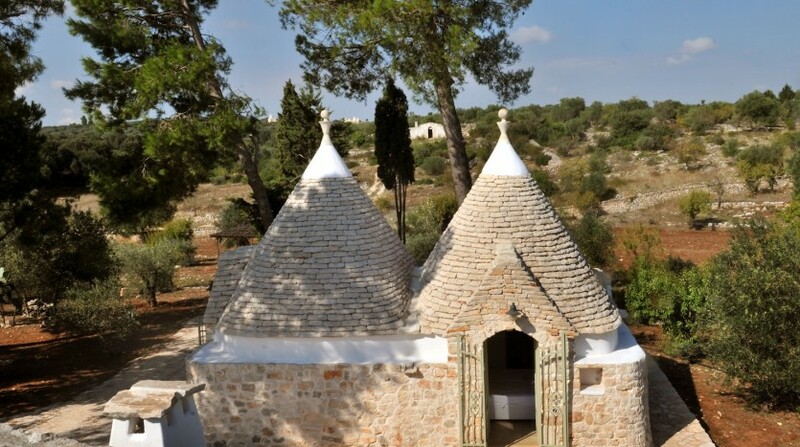 Set in the shade of the oak trees, these Trulli have been renovated following the original criteria for these typical conical buildings and using the high quality typical Apulian materials and high standard finishing. 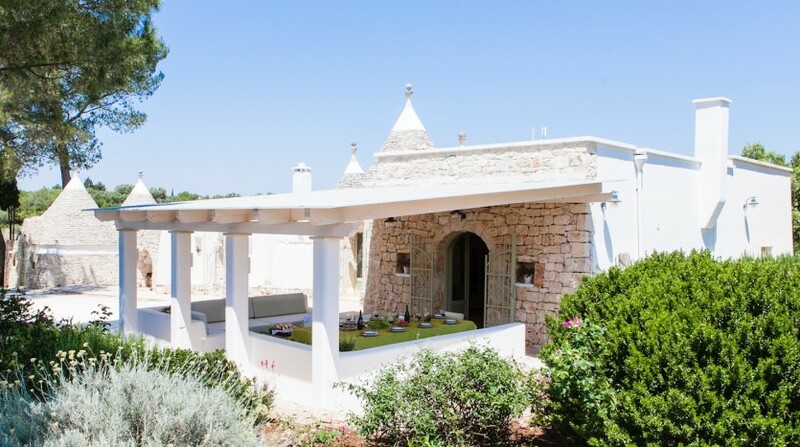 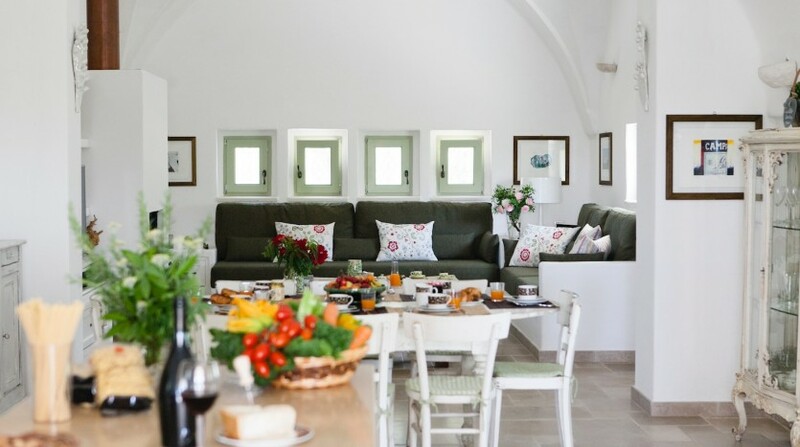 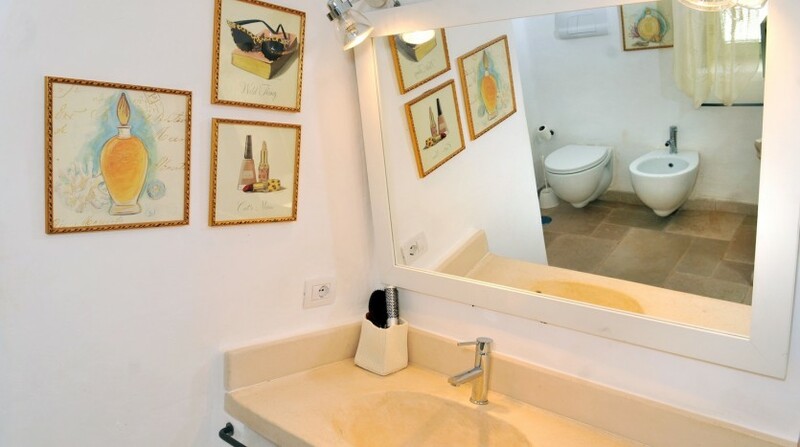 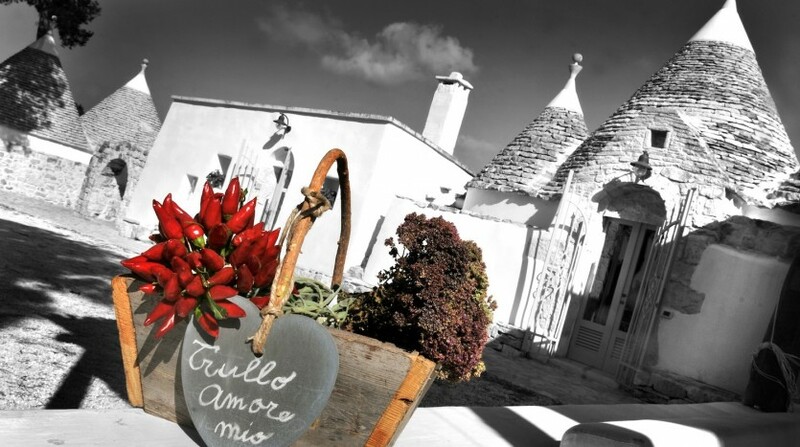 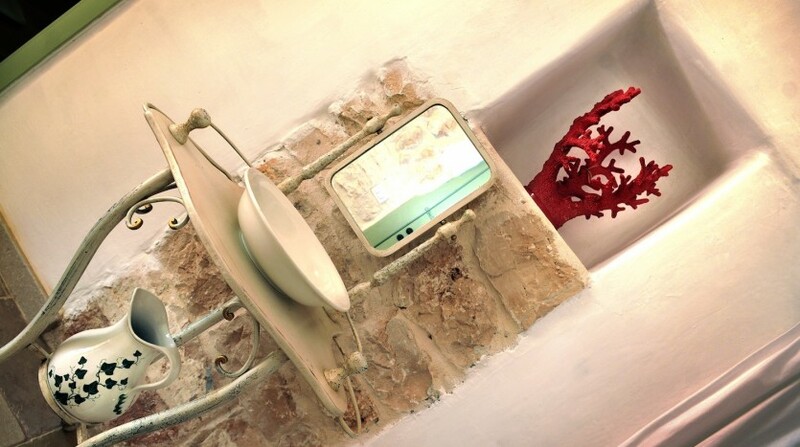 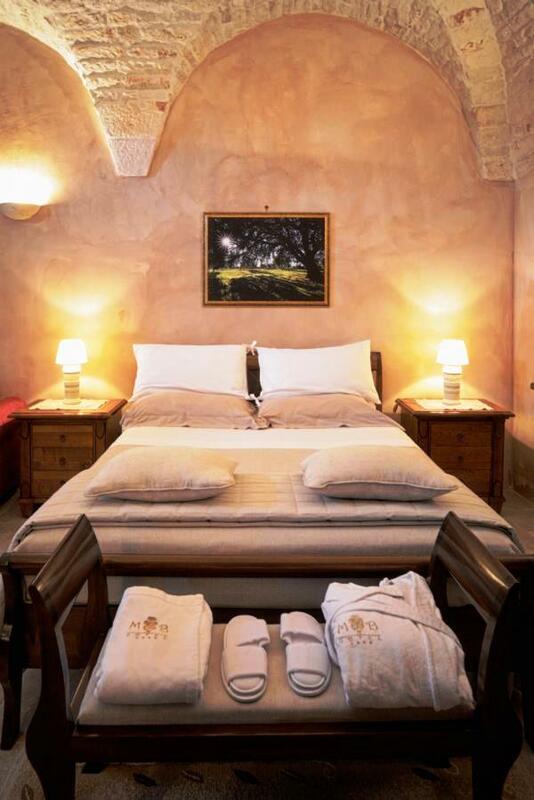 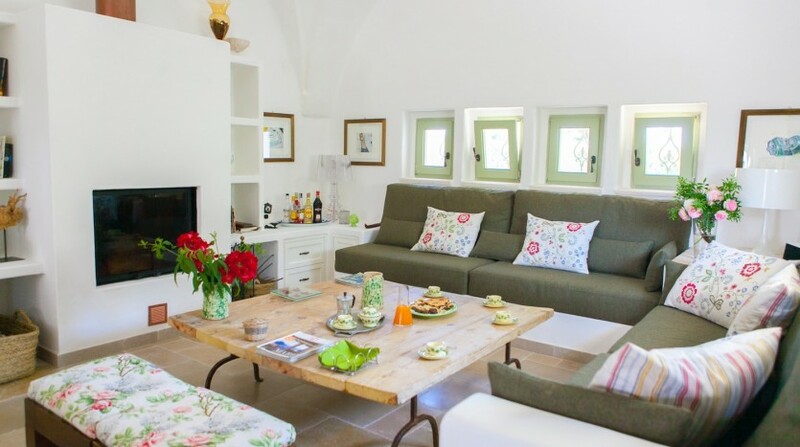 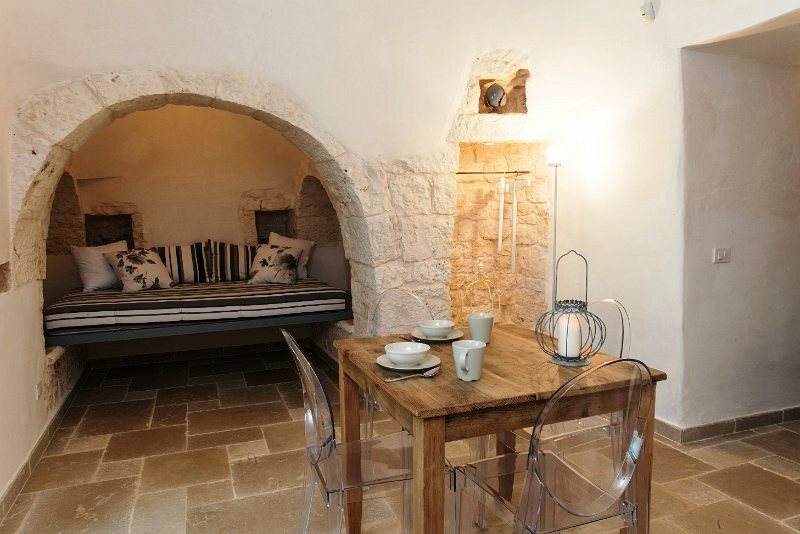 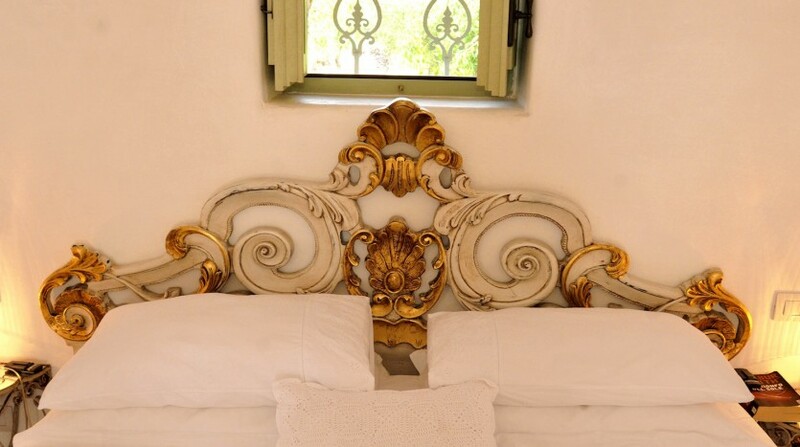 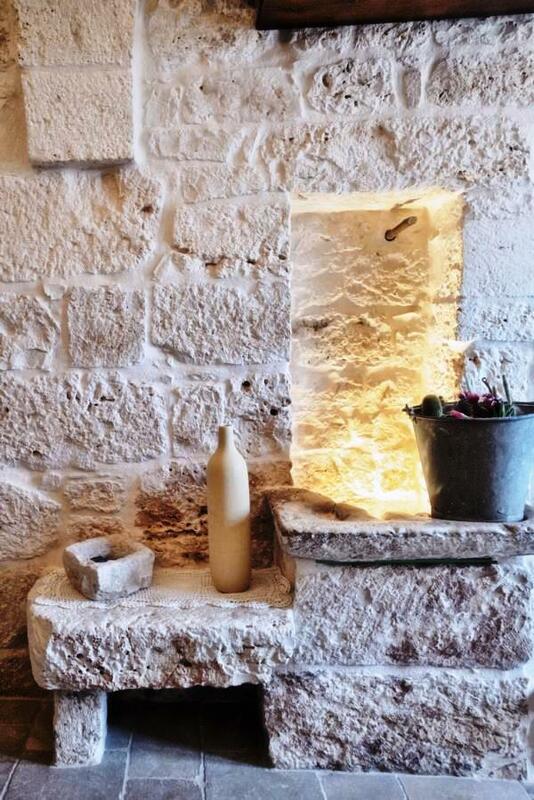 Trullo Amore Mio has been furnished with authentic local craftwork and fine custom-made furniture, offering its guests maximum comfort and well-being during their stay. 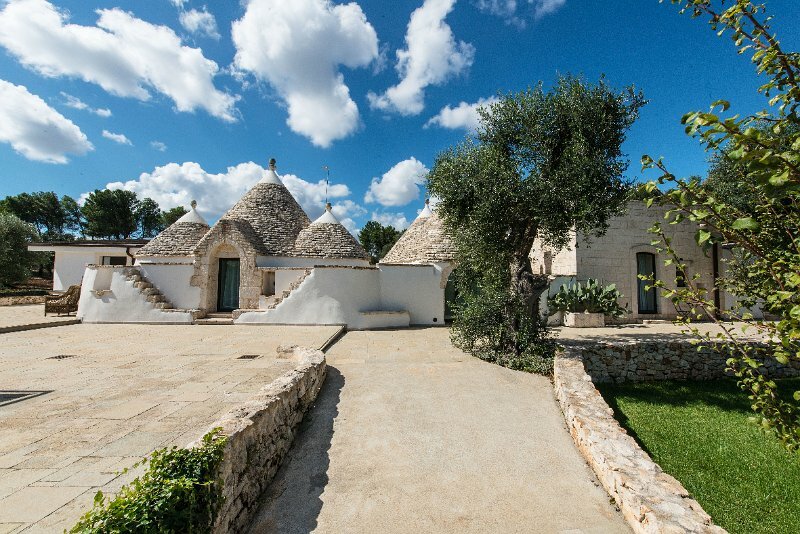 The Trulli complex has the appearance of a small village with three independent buildings: the central building and two adjoining annexes. 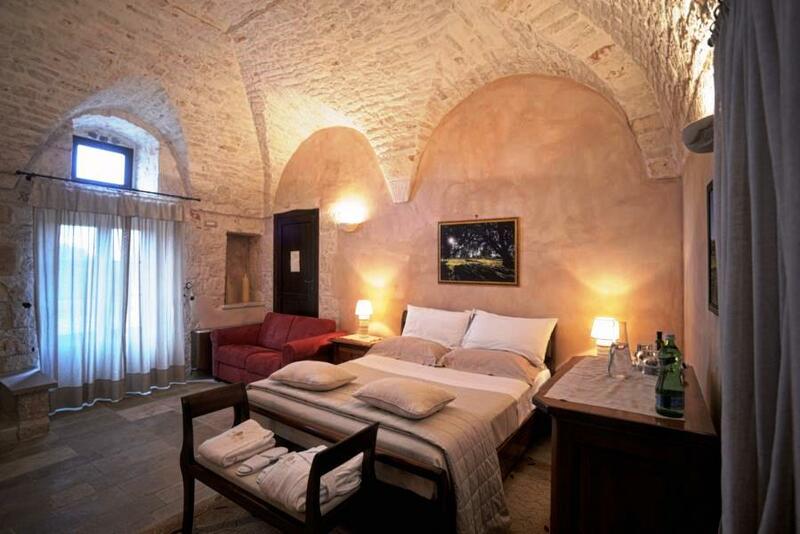 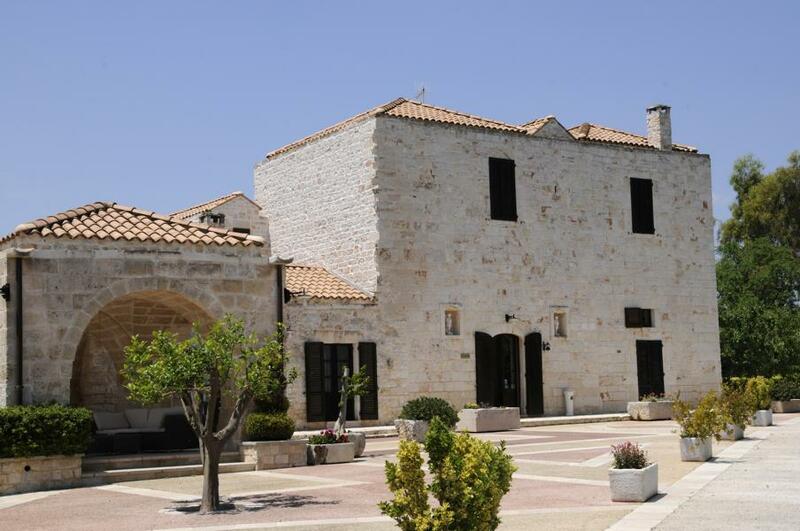 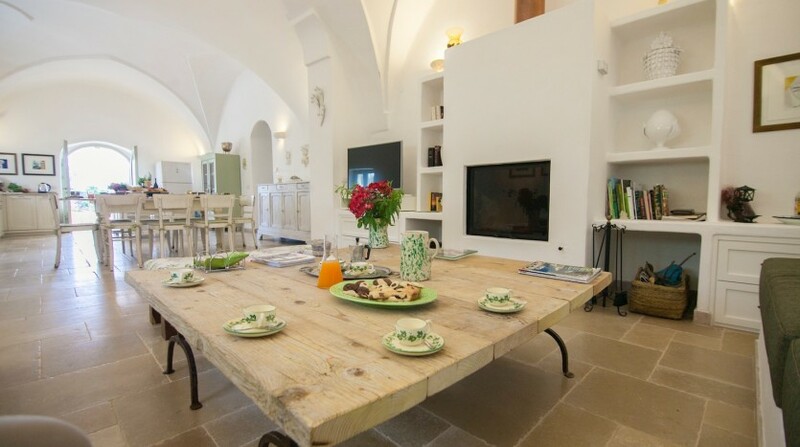 The main building offers, in a large open space with stunning double barrel vaults, a beautiful living room with thermo-fireplace, air conditioning, comfortable sofas and a spacious, bright and fully equipped kitchen. 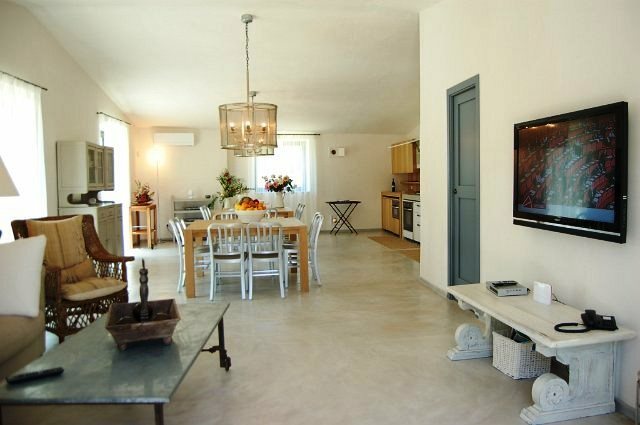 The living room leads to a hallway where the bathroom and laundry room (with washer and dryer) are located. 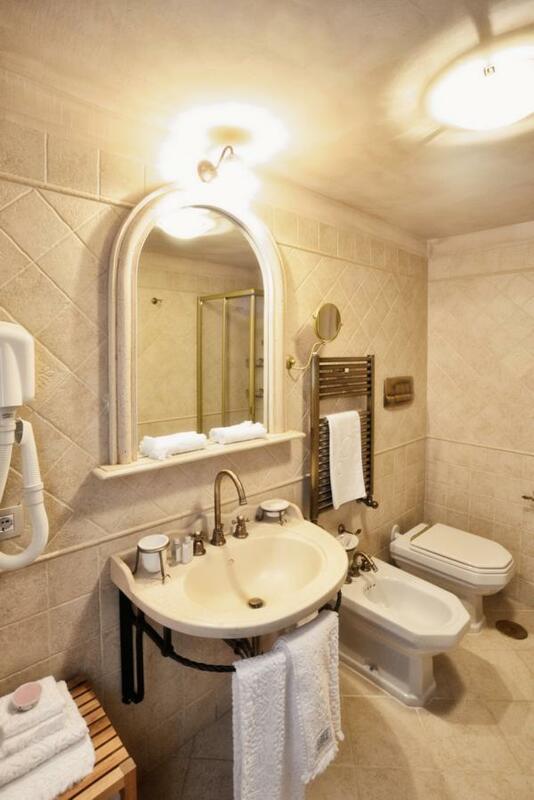 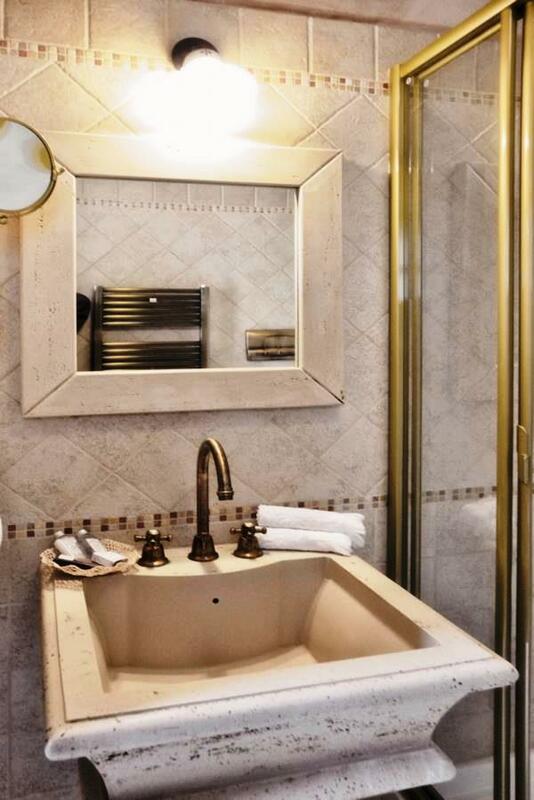 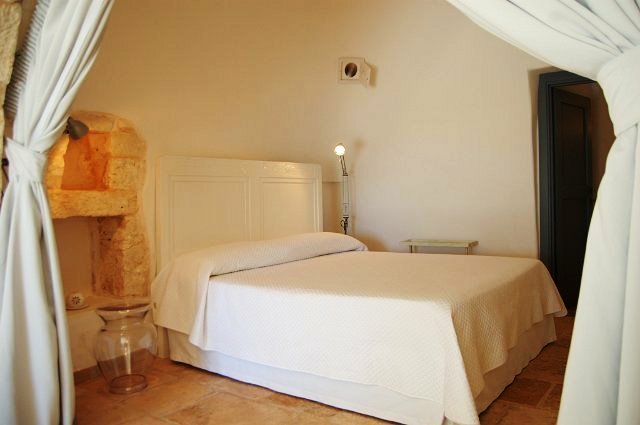 Past the hallway, you will find a refined single sofa bed and the master bedroom with ensuite bathroom. 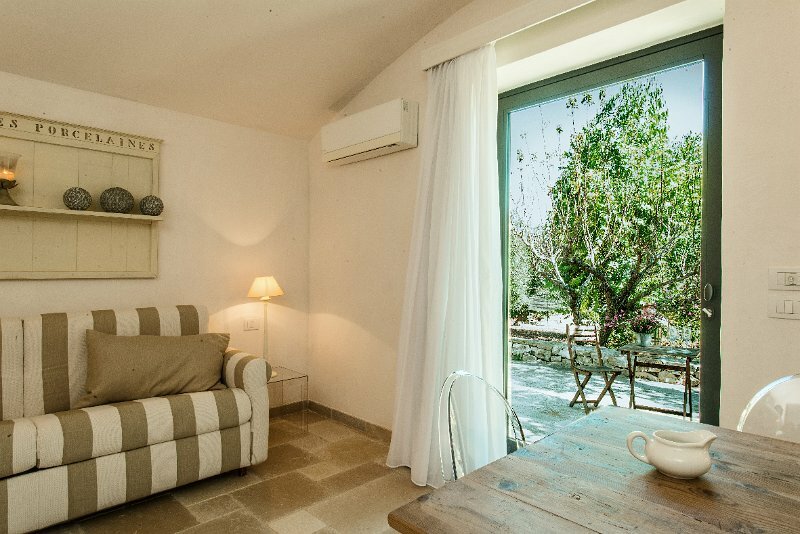 The first annex building is located behind the pool area and has a small living room with kitchenette and two comfortable single sofa beds that can be used by children or young adults, a double bedroom and a comfortable bathroom. 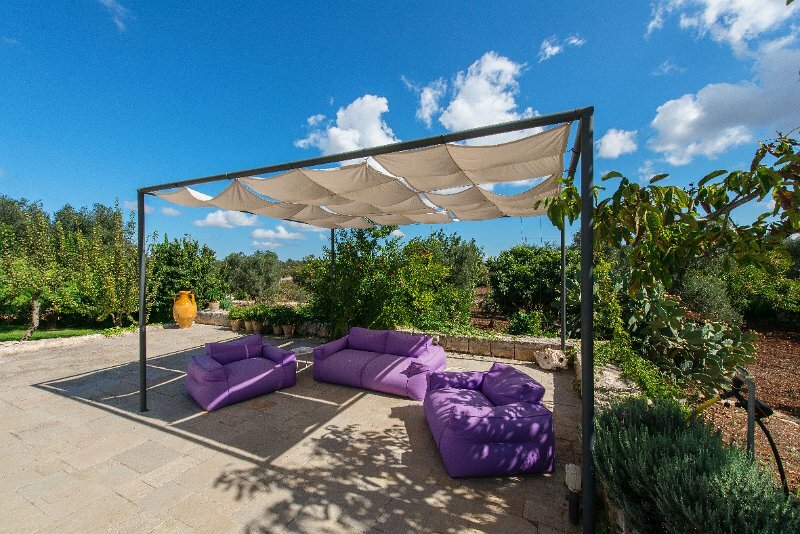 This independent unit is ideal for a family with young children. 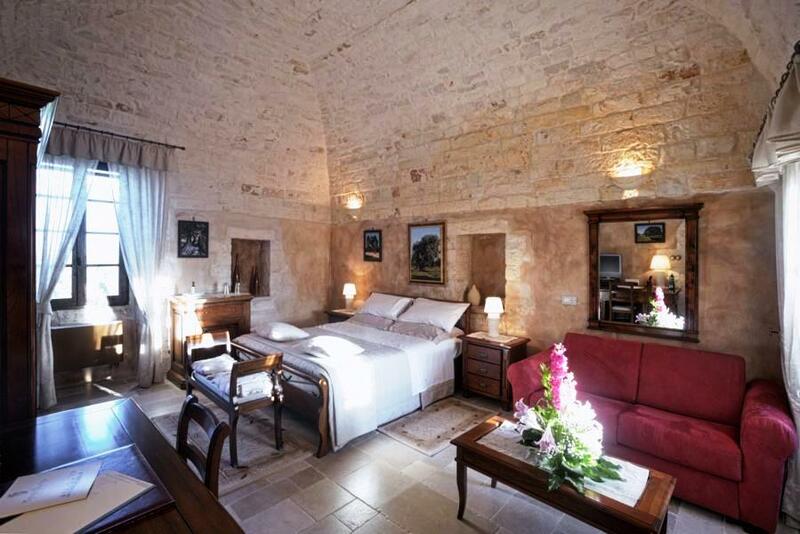 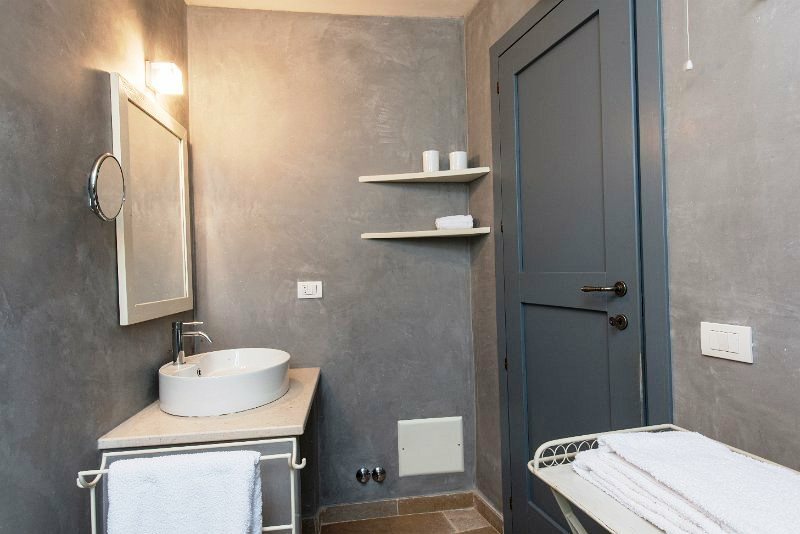 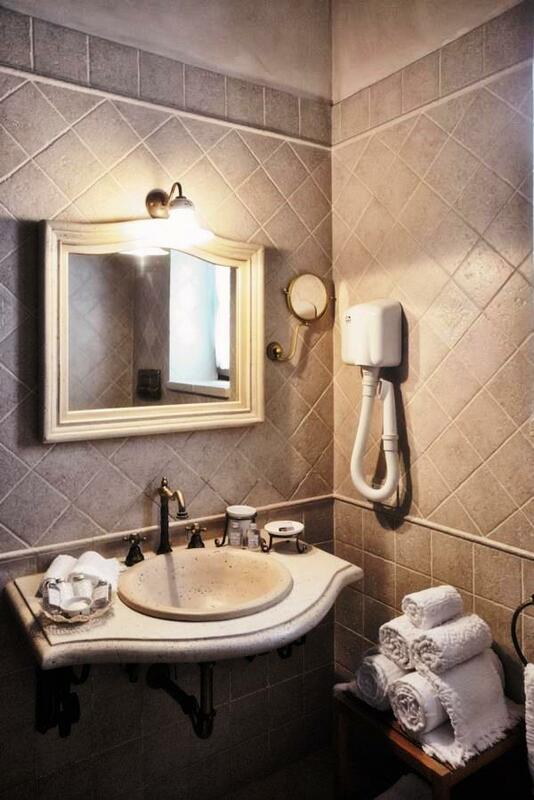 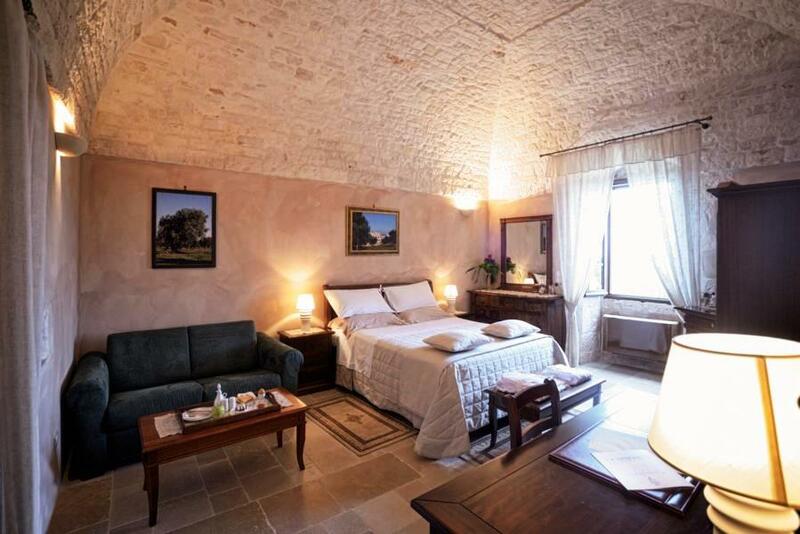 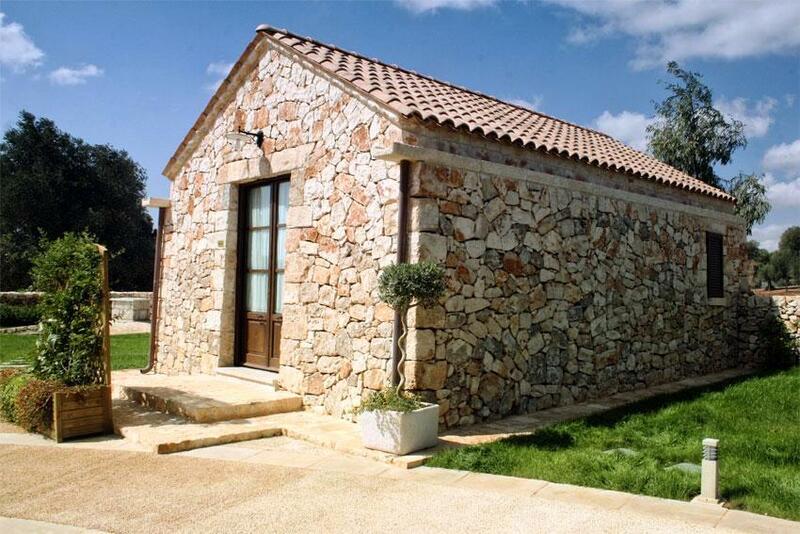 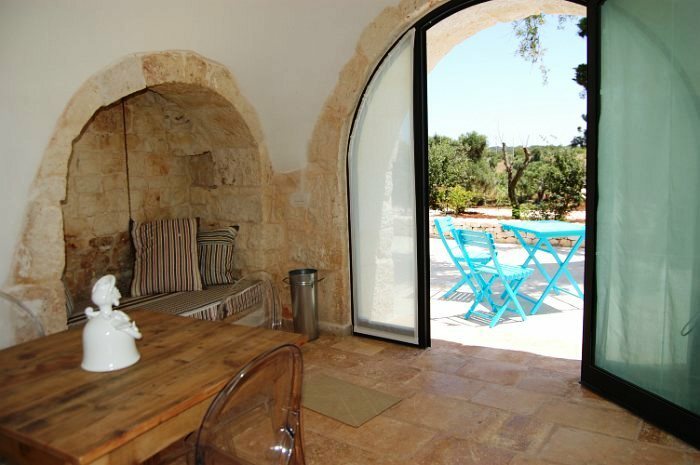 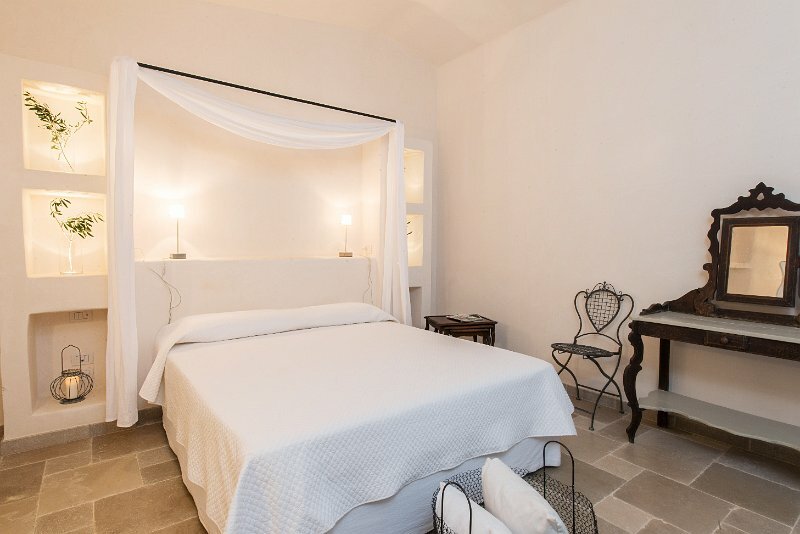 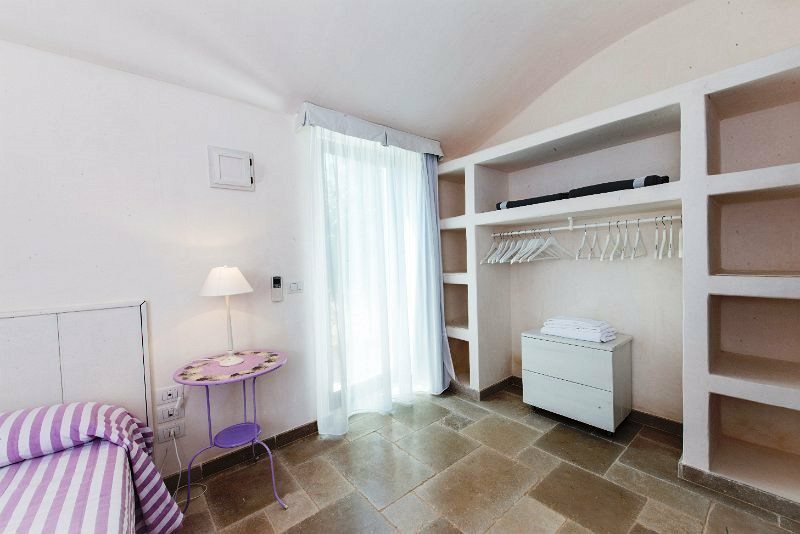 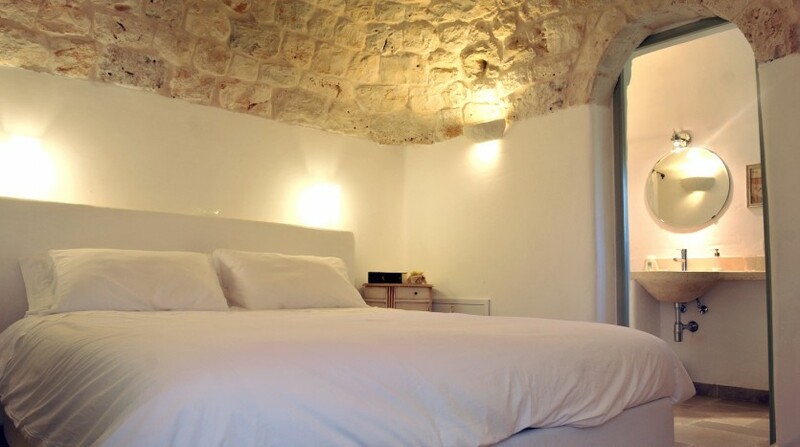 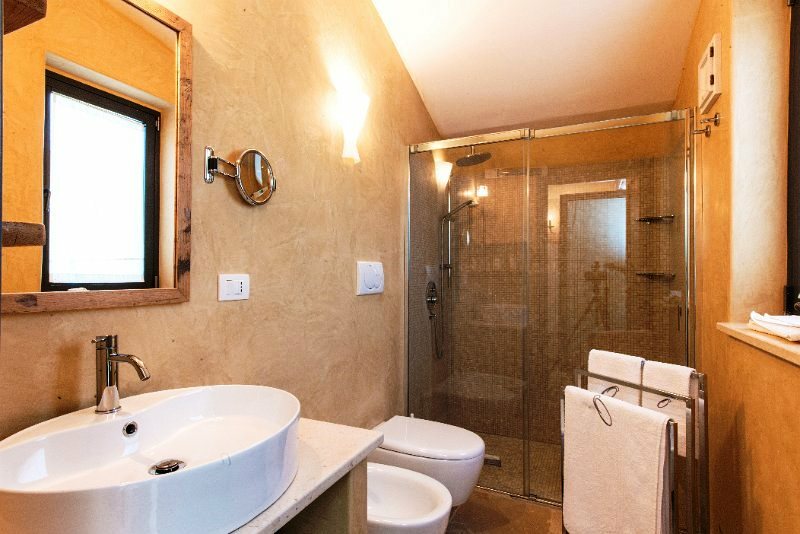 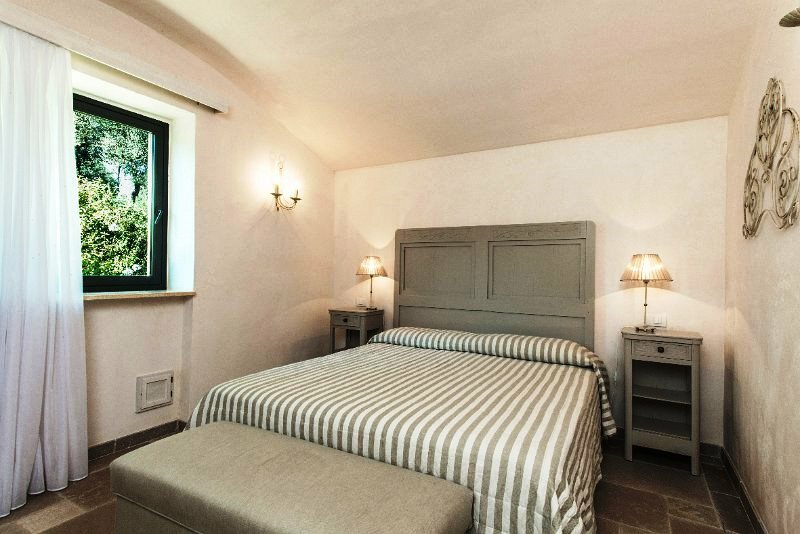 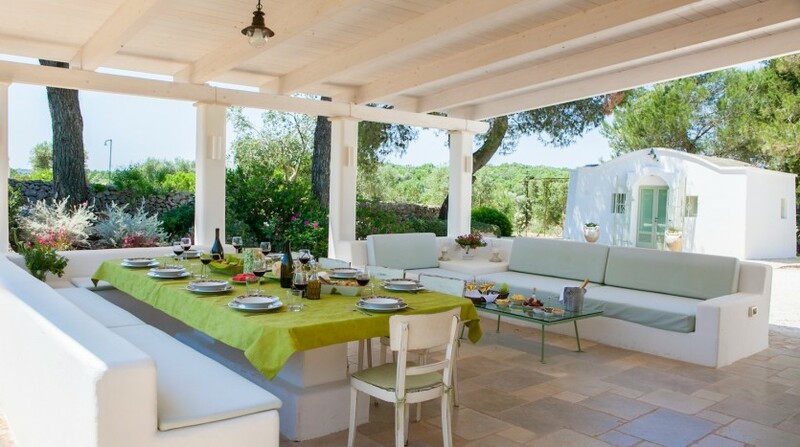 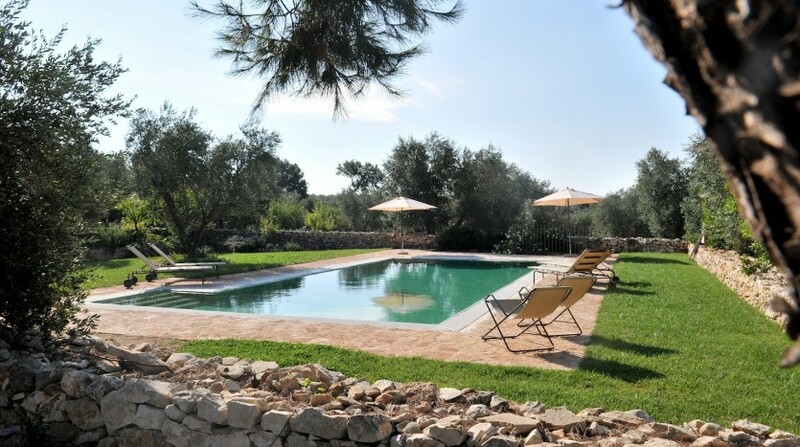 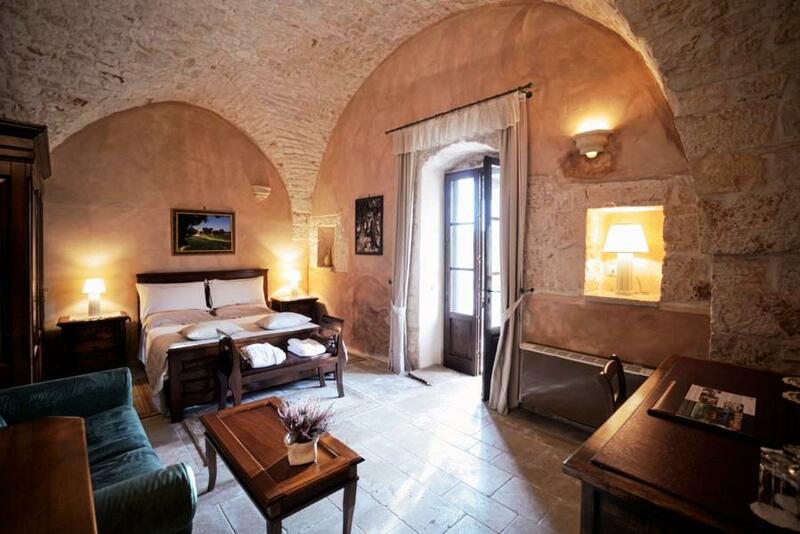 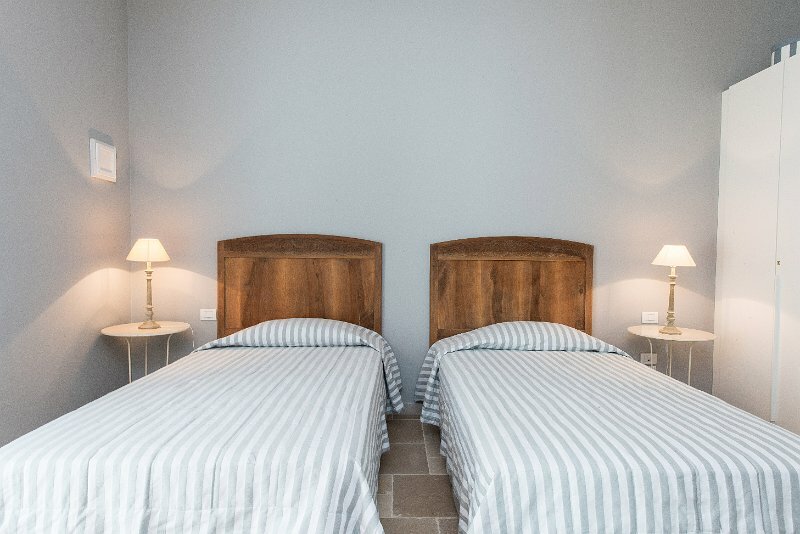 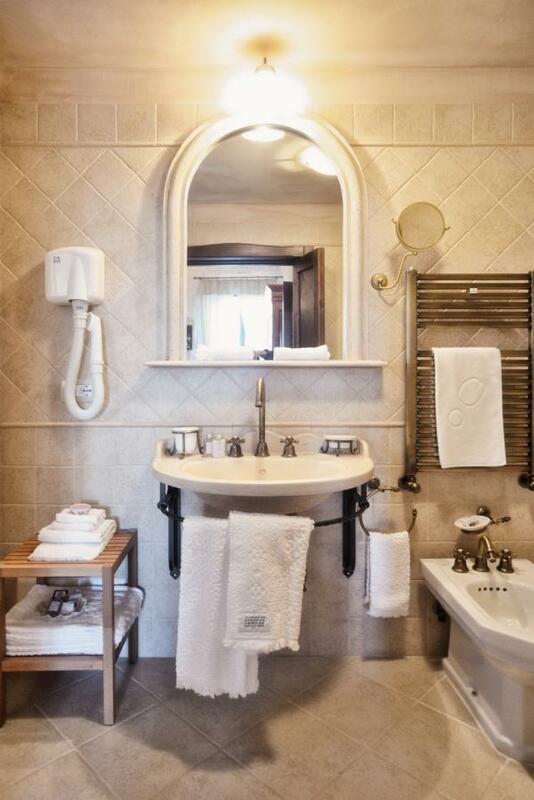 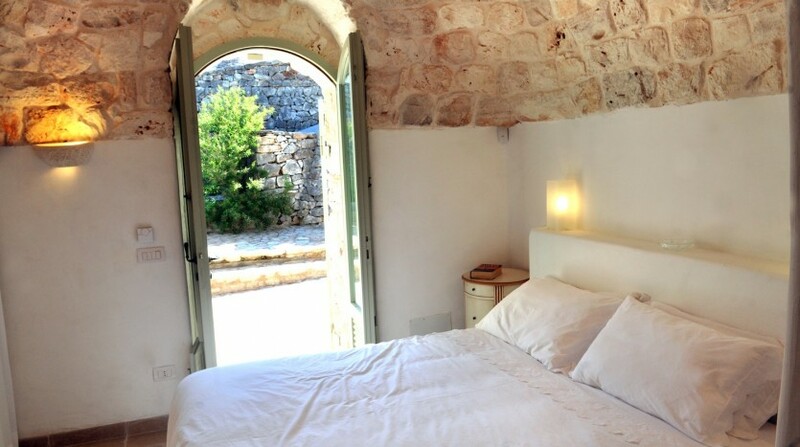 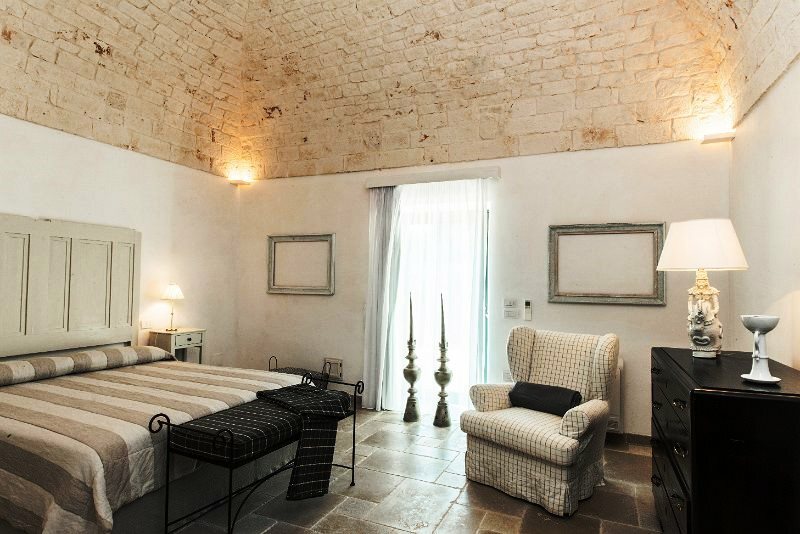 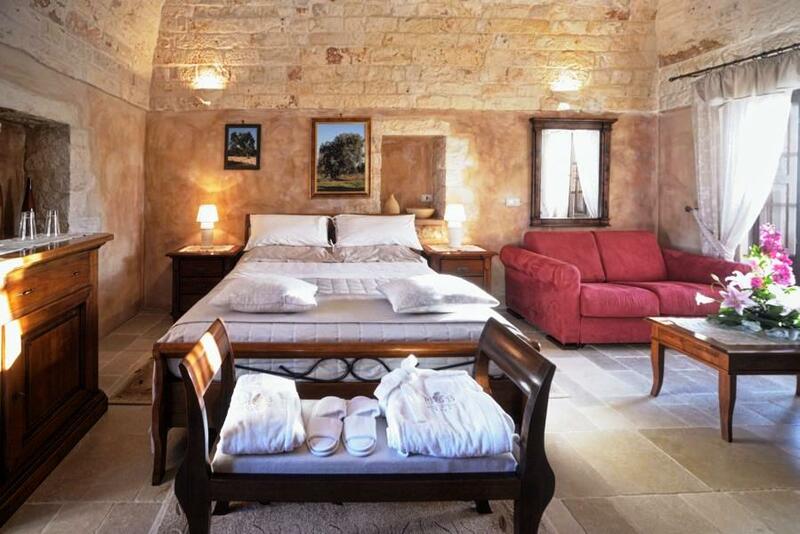 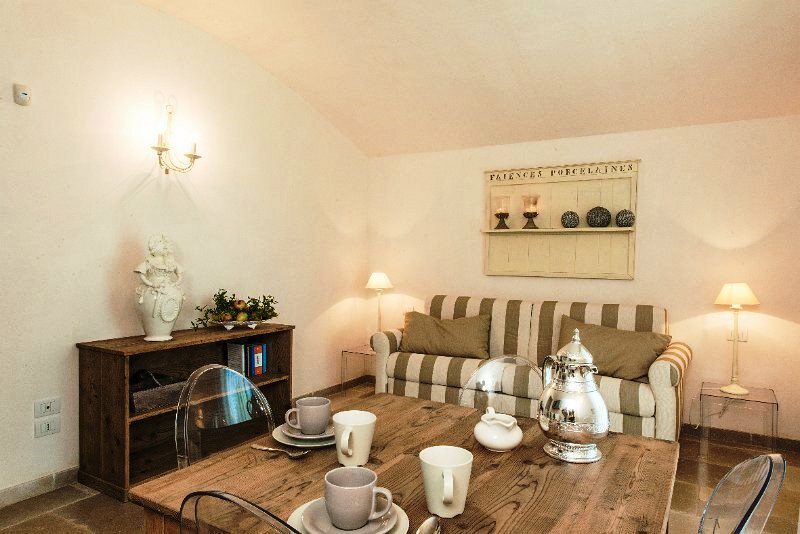 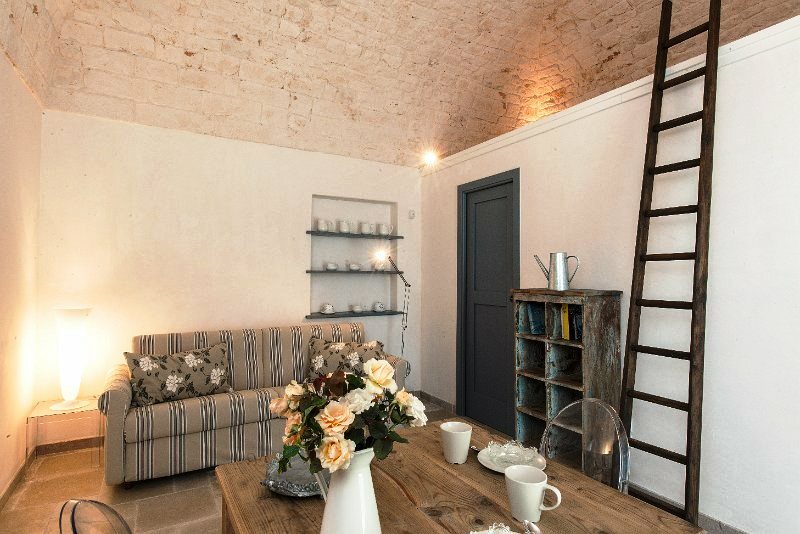 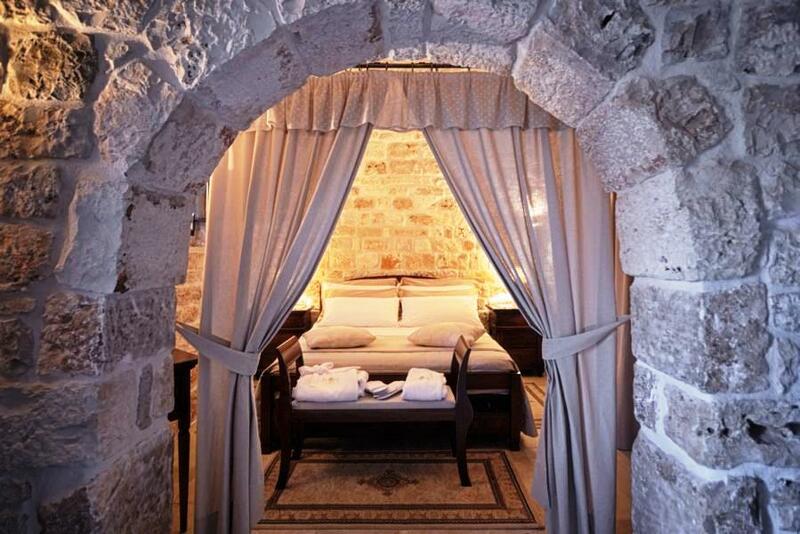 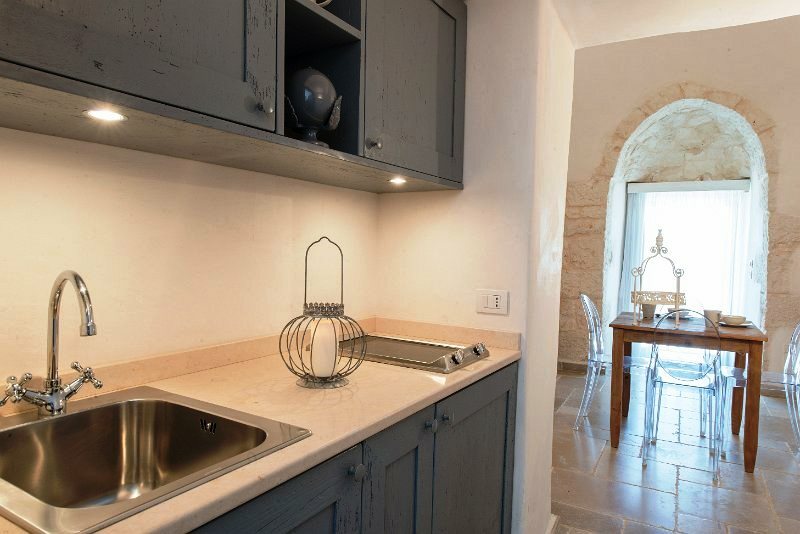 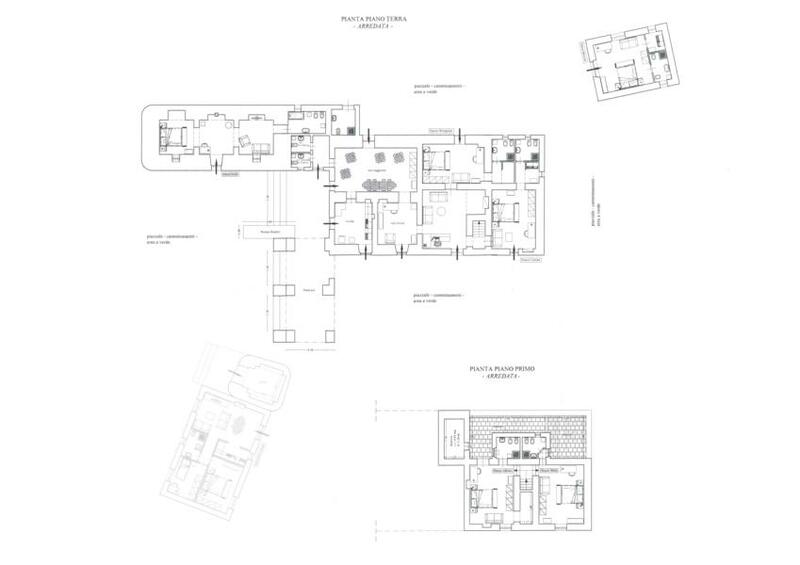 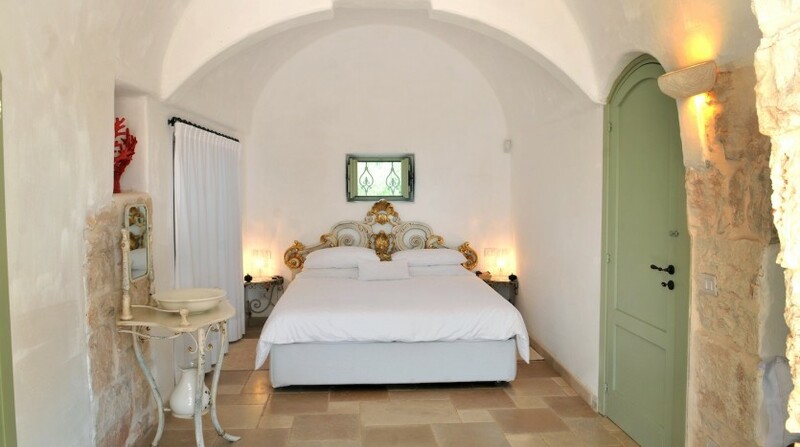 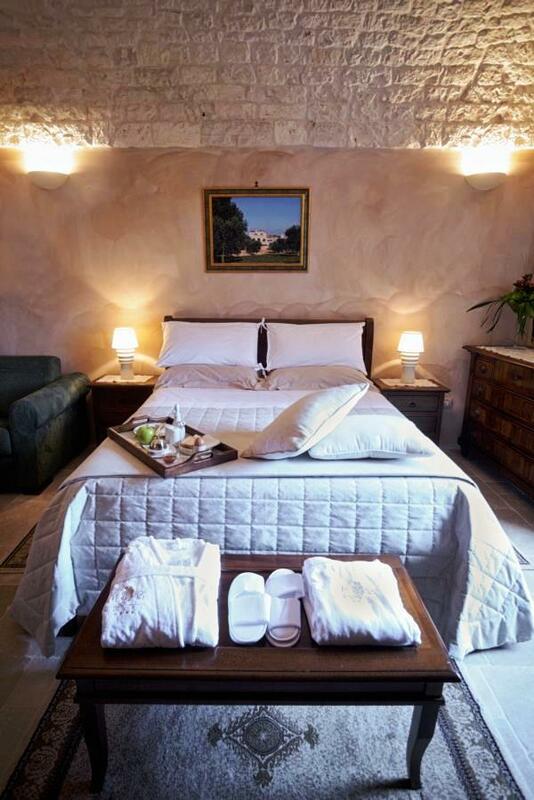 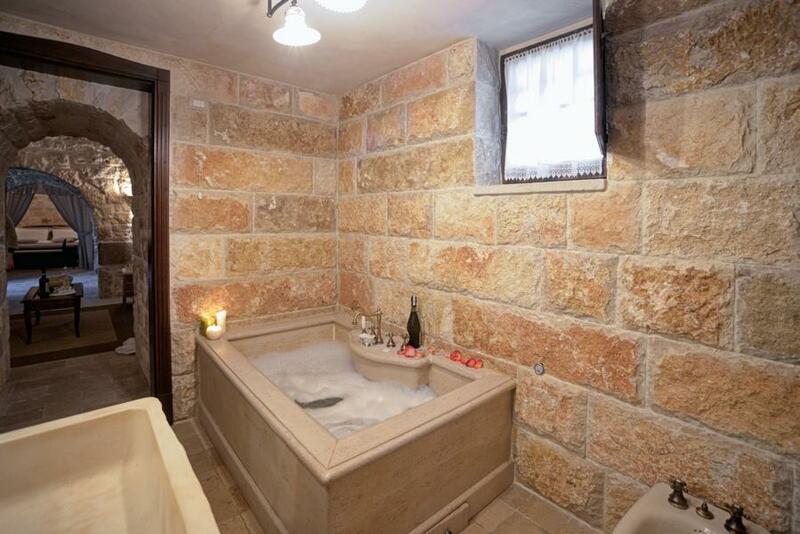 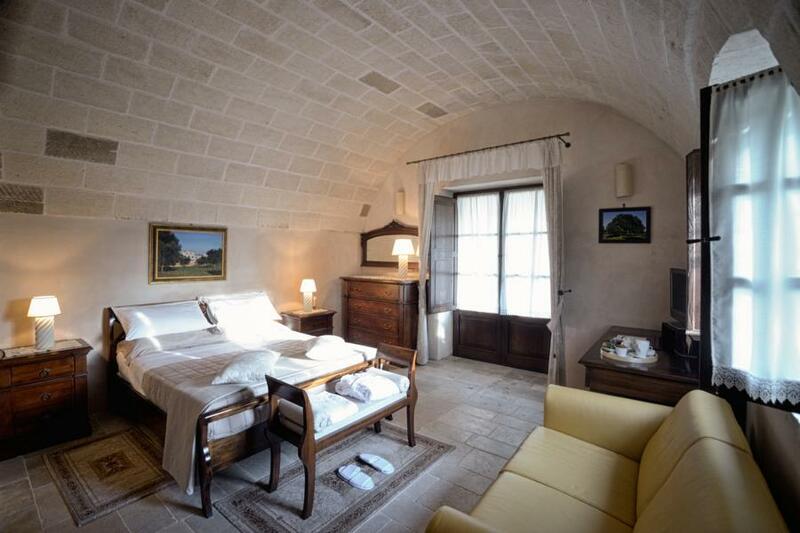 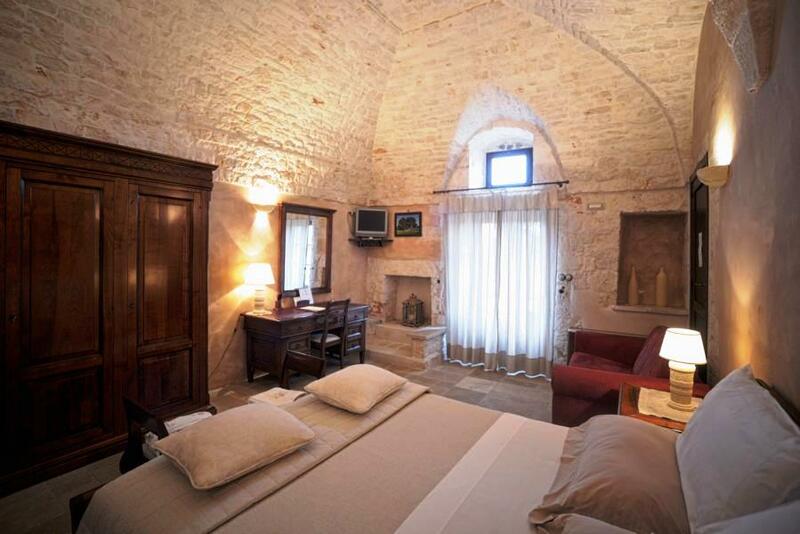 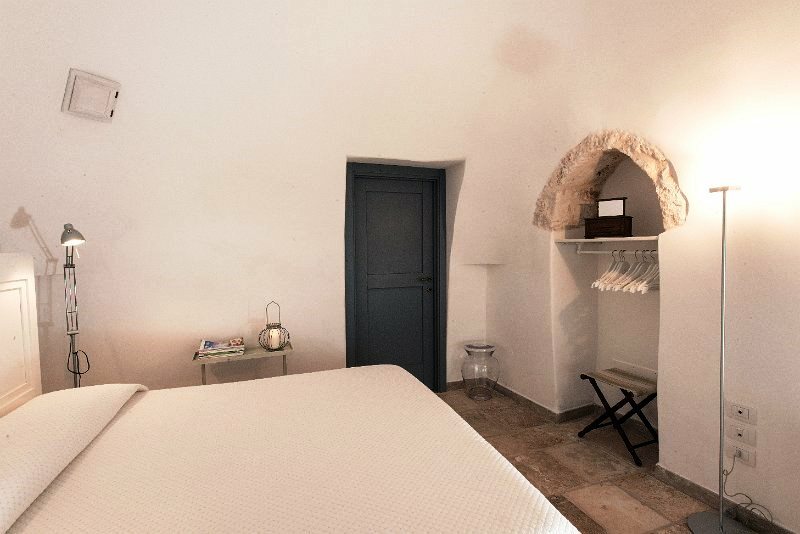 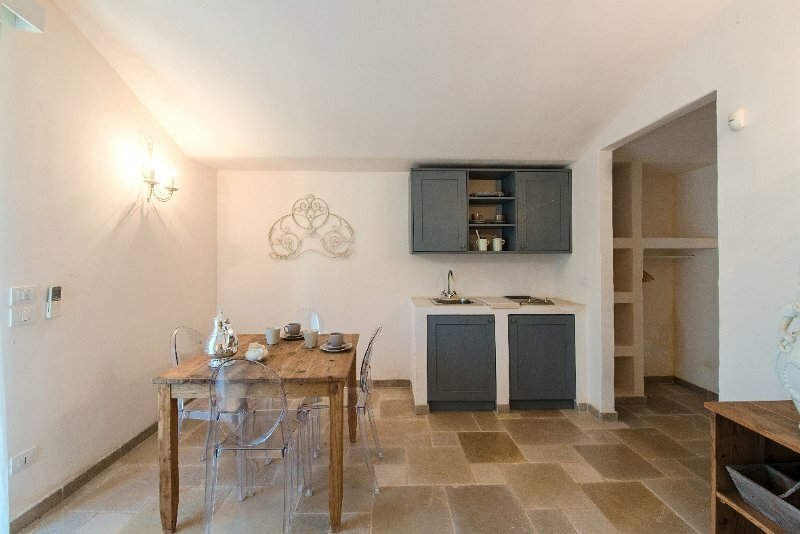 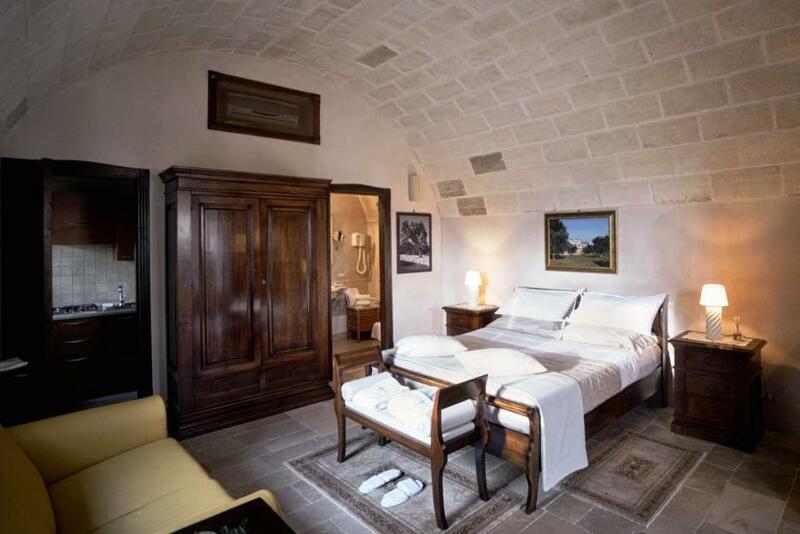 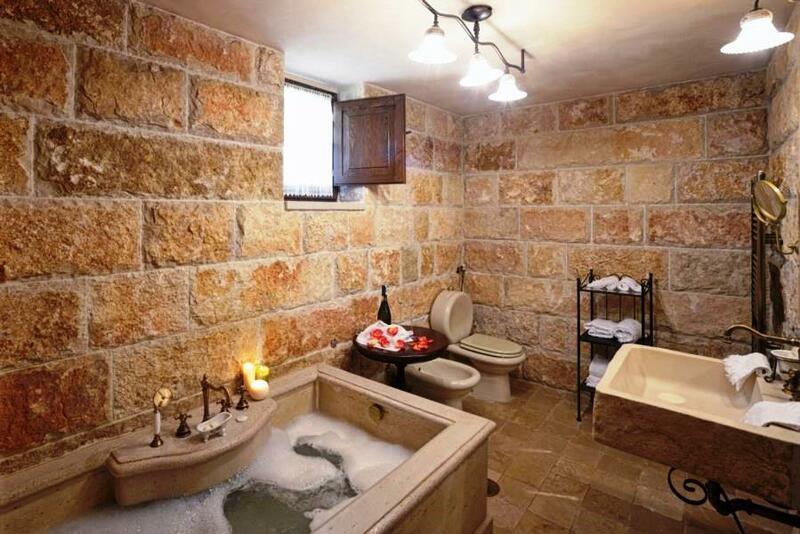 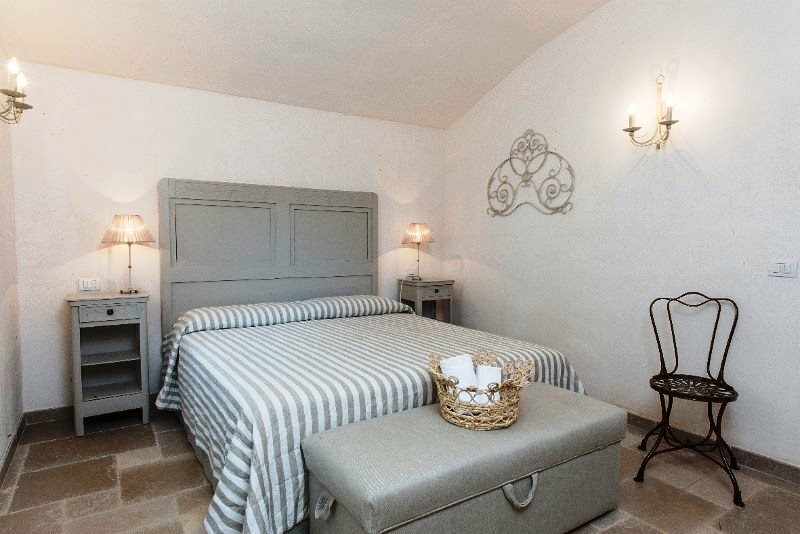 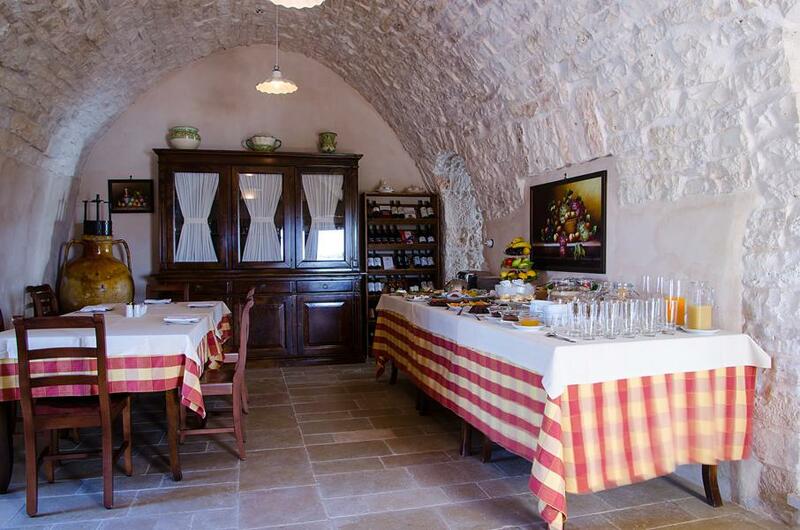 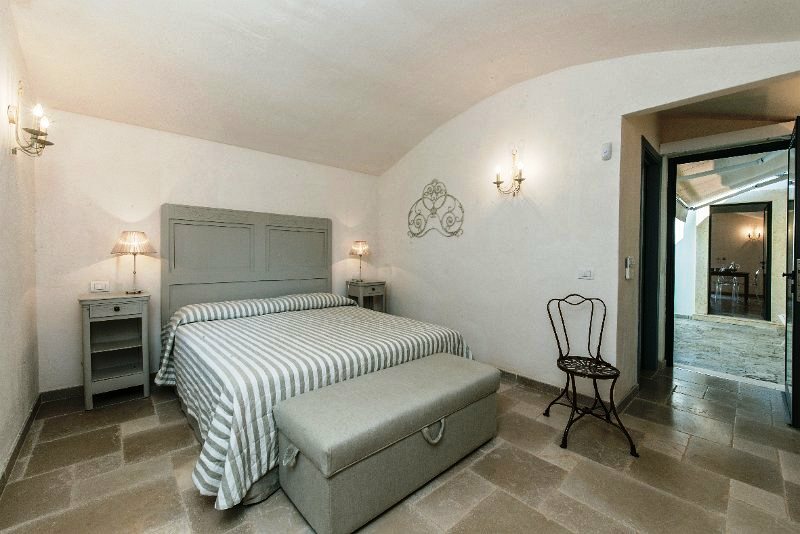 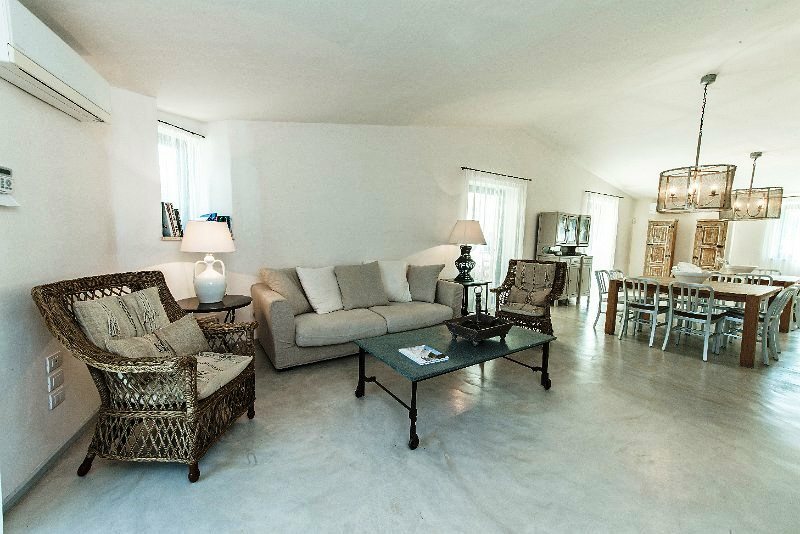 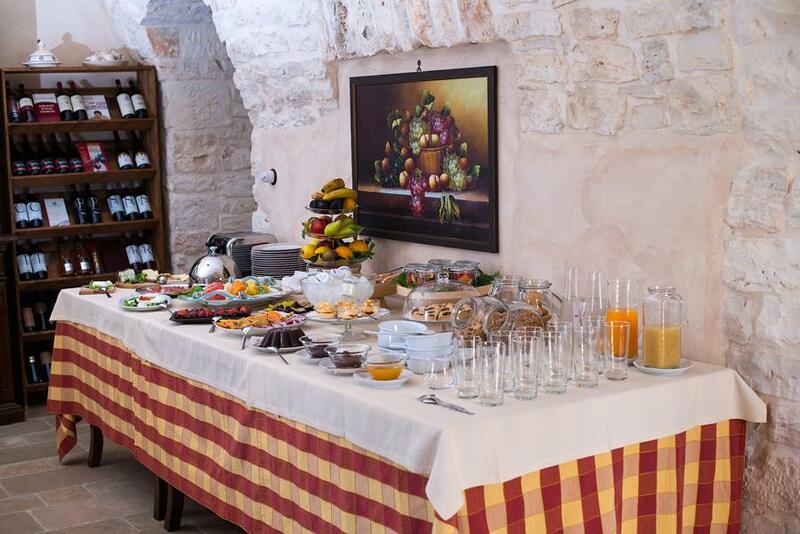 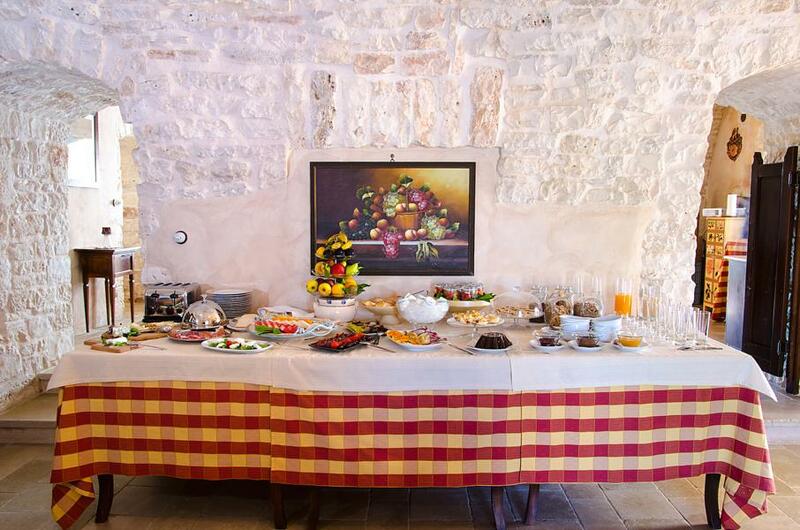 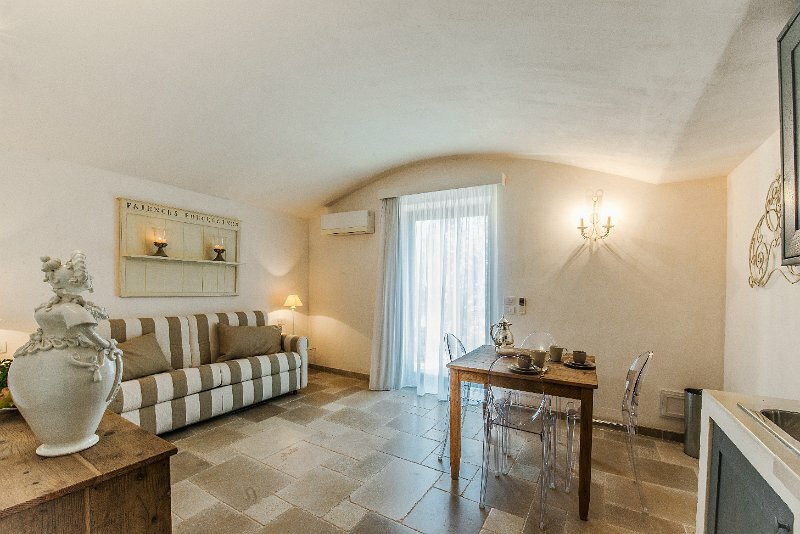 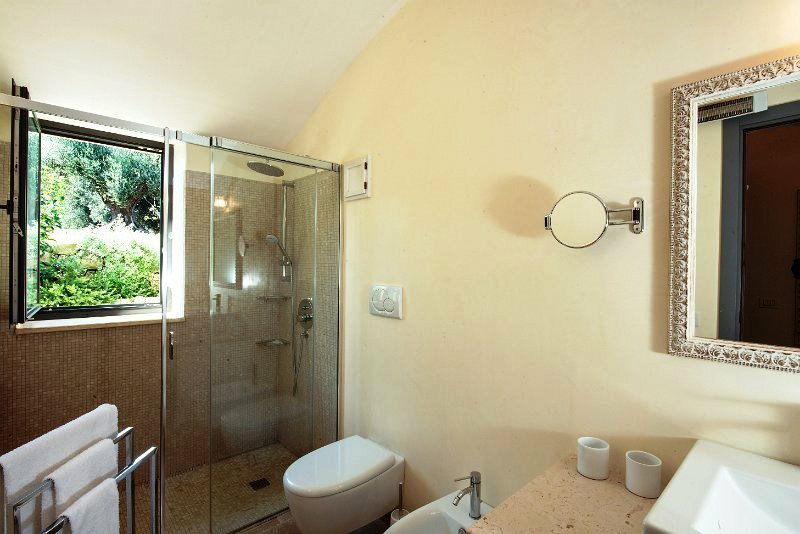 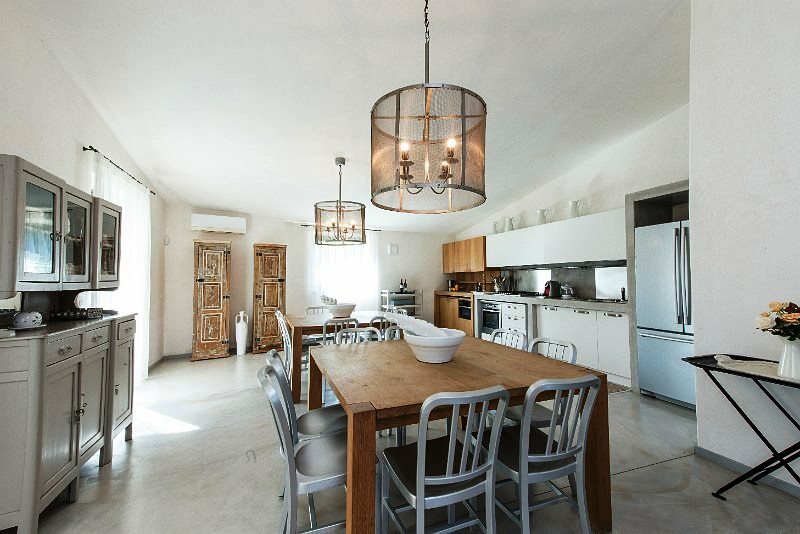 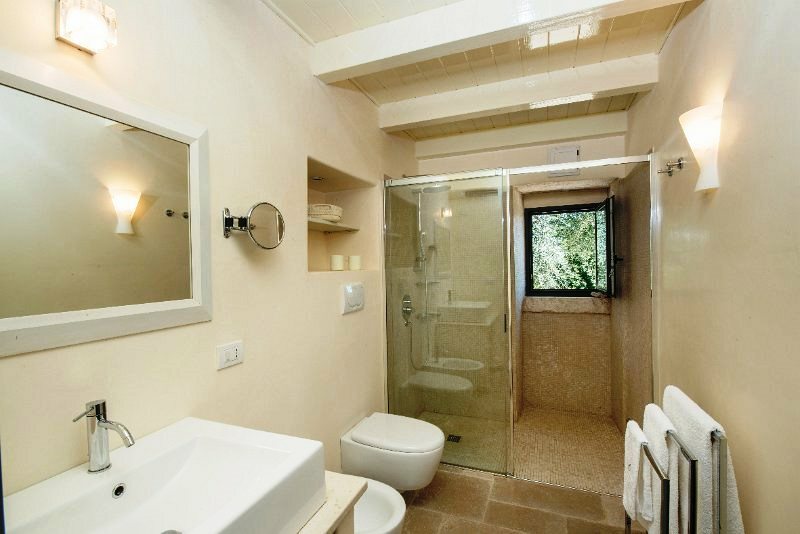 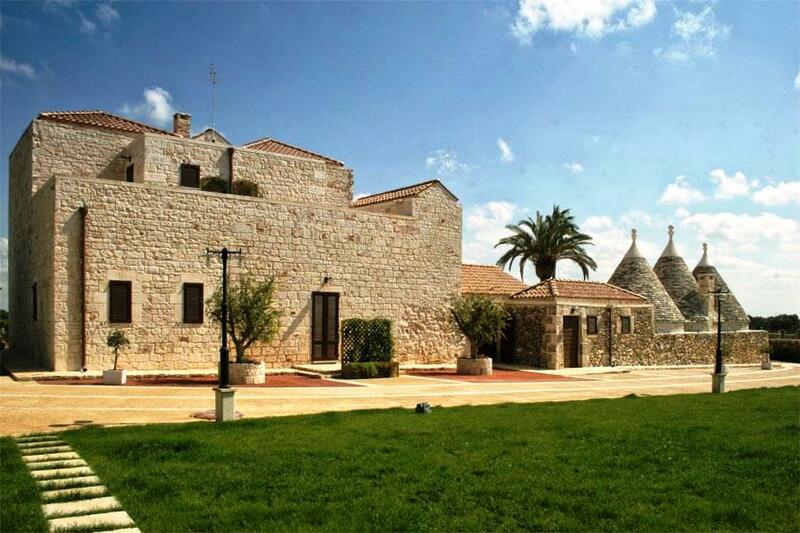 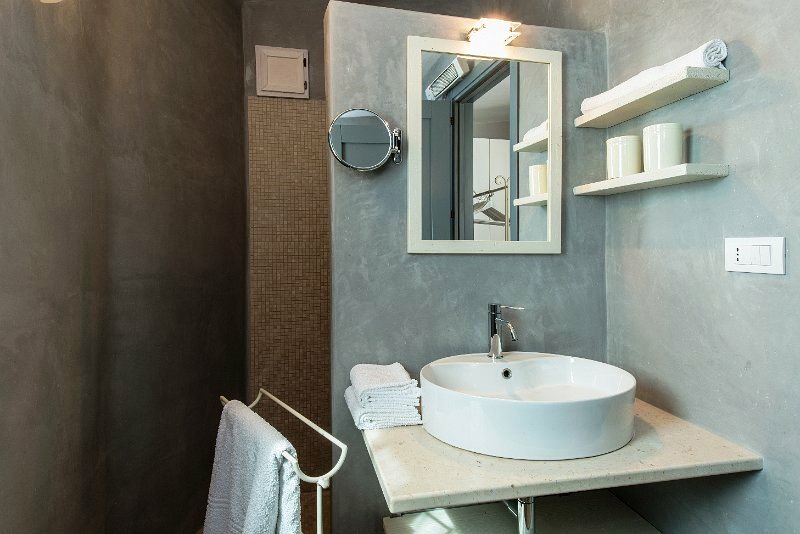 The second annex building is situated next to the main Trullo and disposes of two romantically decorated double bedrooms with ensuite bathrooms and independent access. 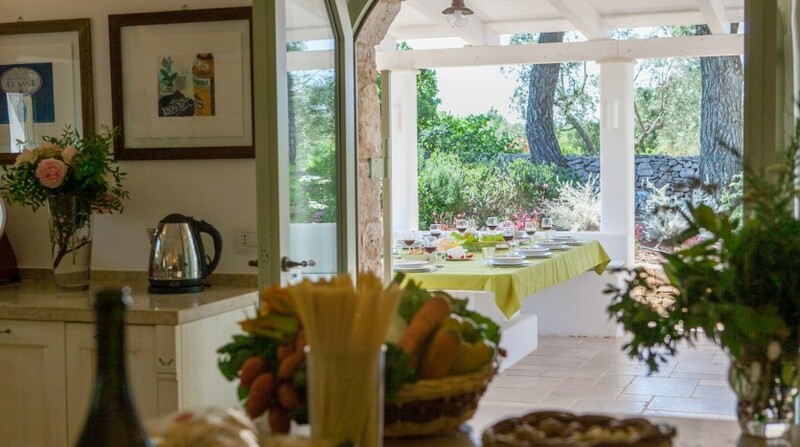 From the kitchen you access a large wooden patio with a beautiful stone table with stone benches, covered with comfortable cushions for relaxed outdoor meals. 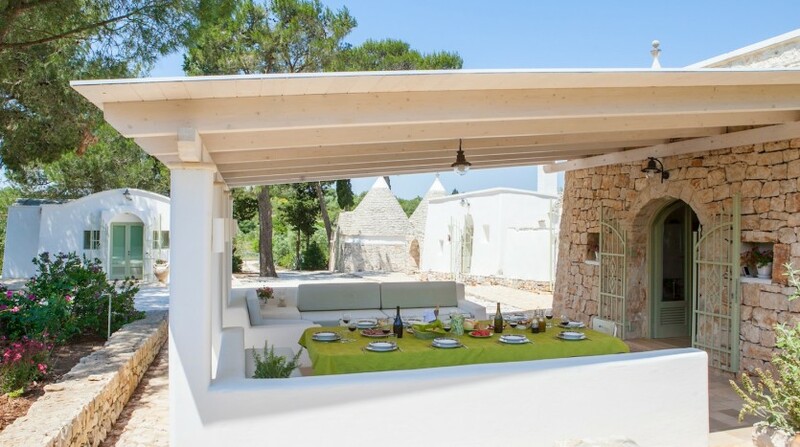 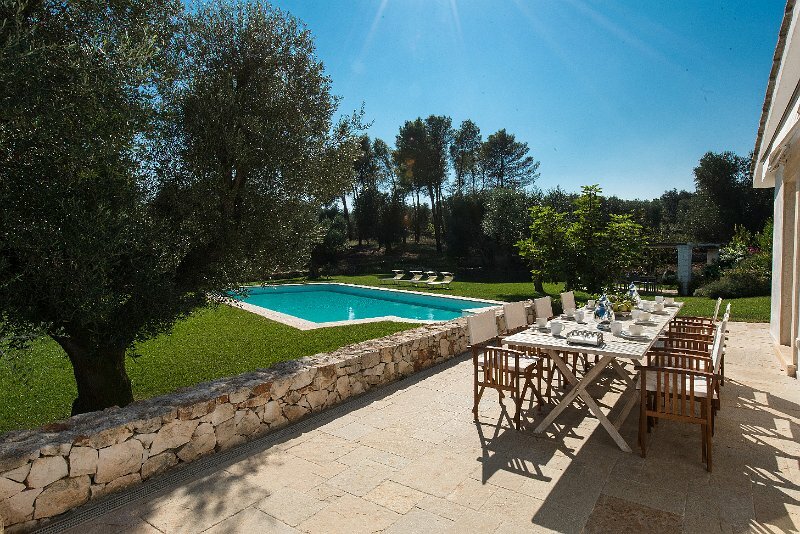 On the other side you can find a large outdoor living area, clad in stone, created to enjoy lounge moments in the peaceful countryside of Puglia. 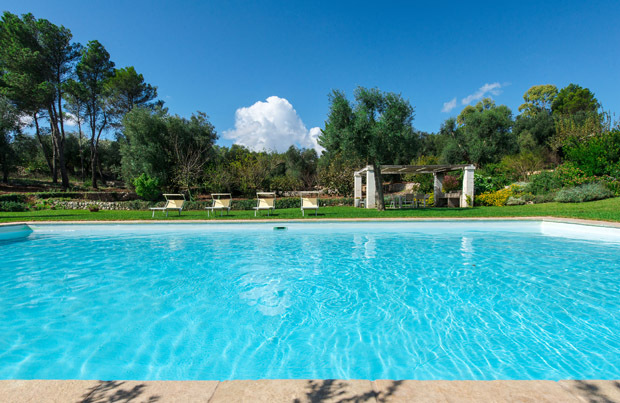 From the patio you can view the pool area with its extraordinary infinity swimming pool (12x5m) with chlorine free water, surrounded by a well-maintained lawn and equipped with excellent pool furniture. 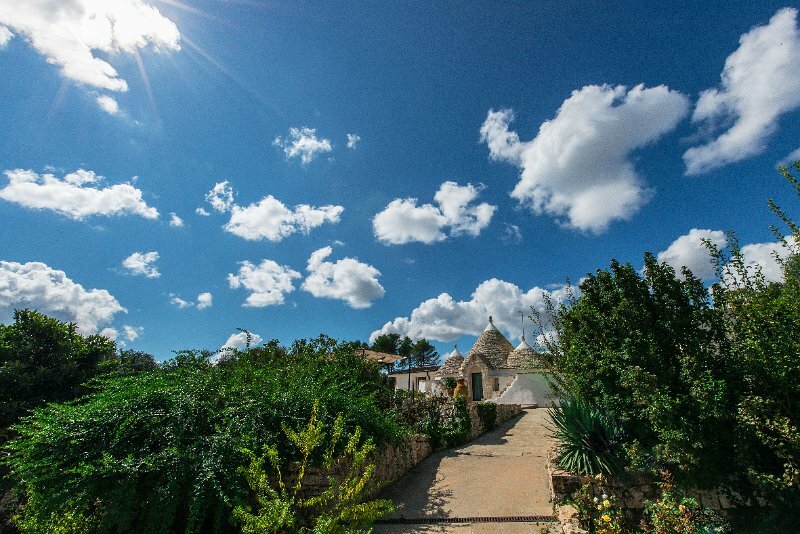 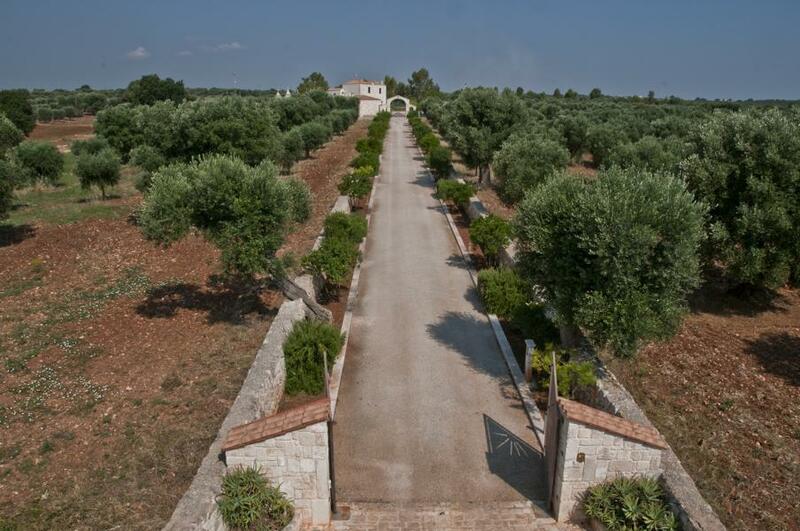 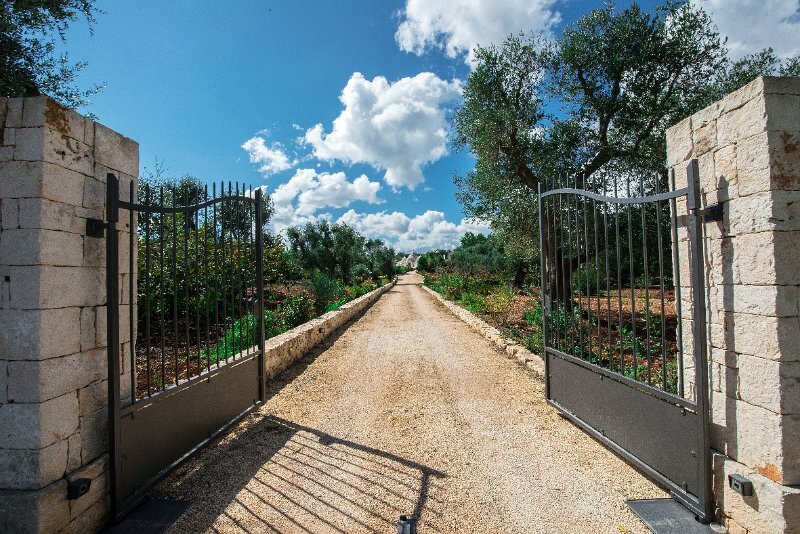 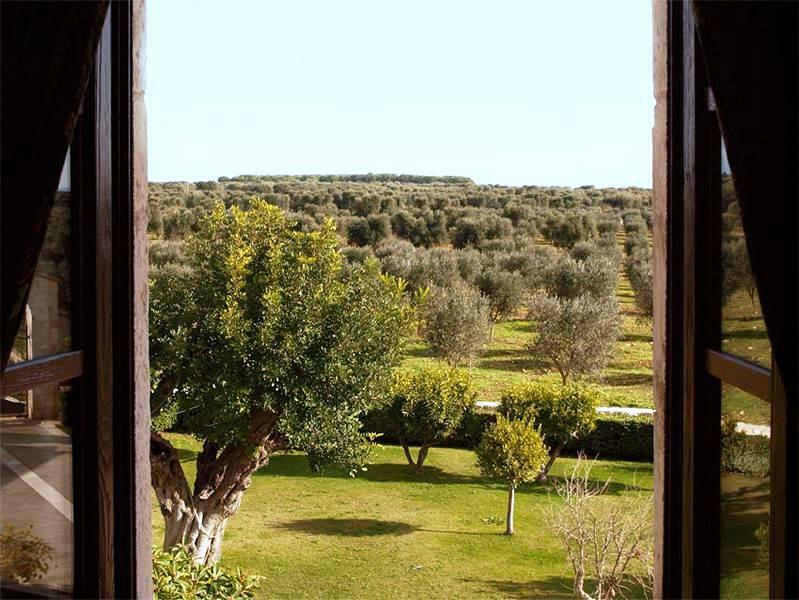 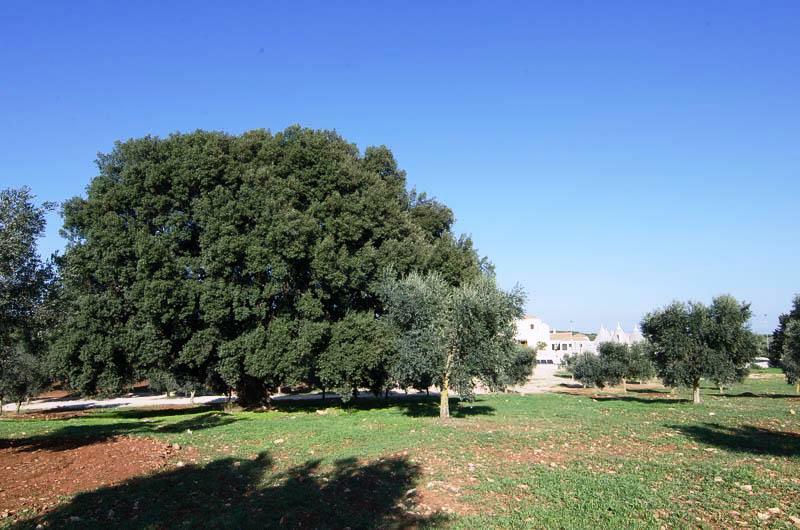 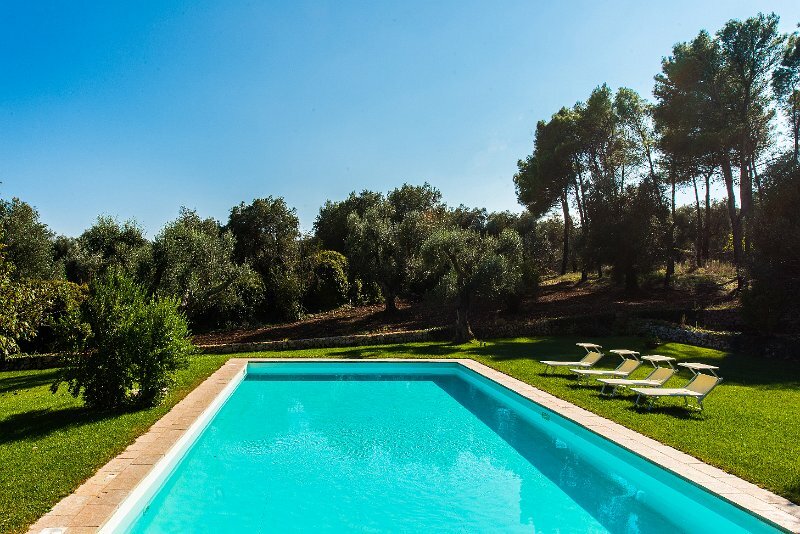 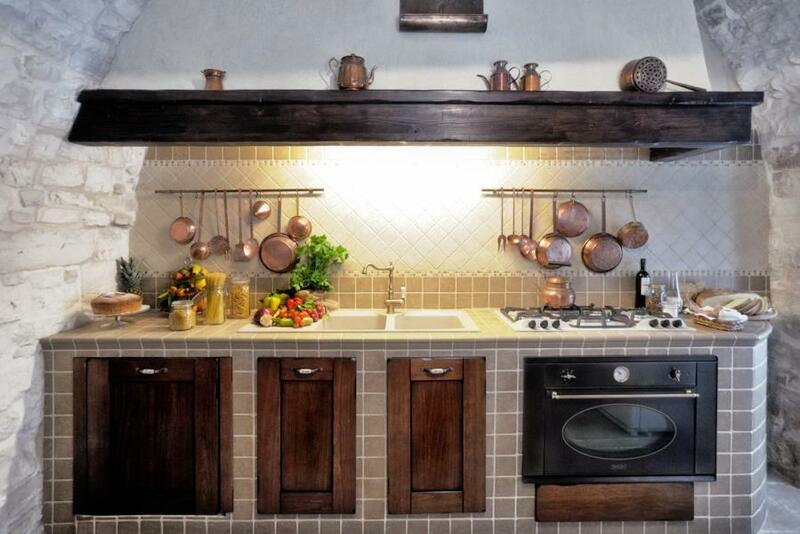 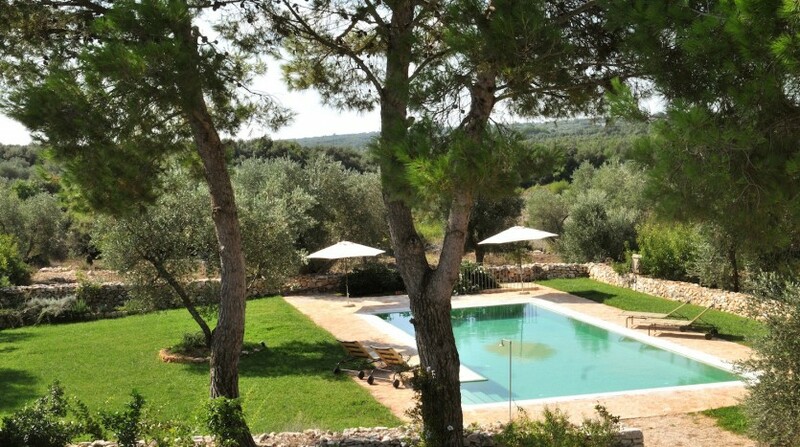 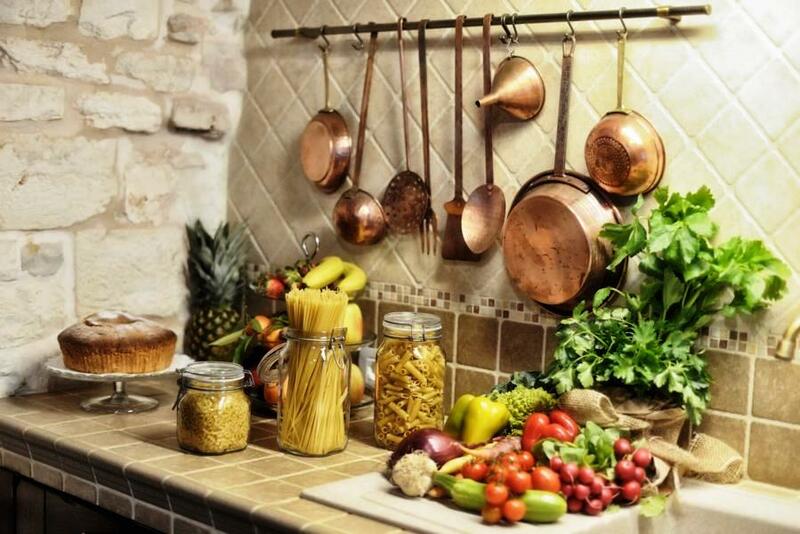 Our prestigious Trullo Amore Mio is set in the green surroundings of olive trees, a variety of fruit trees and an organic garden for the use of its guests. 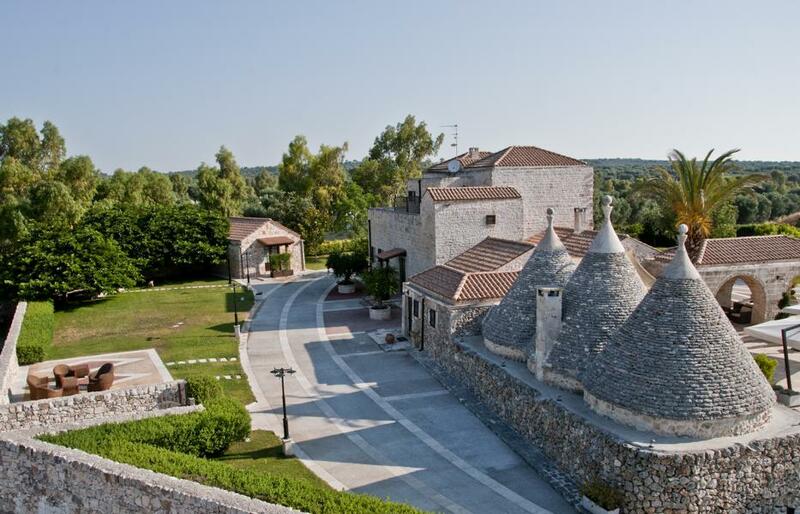 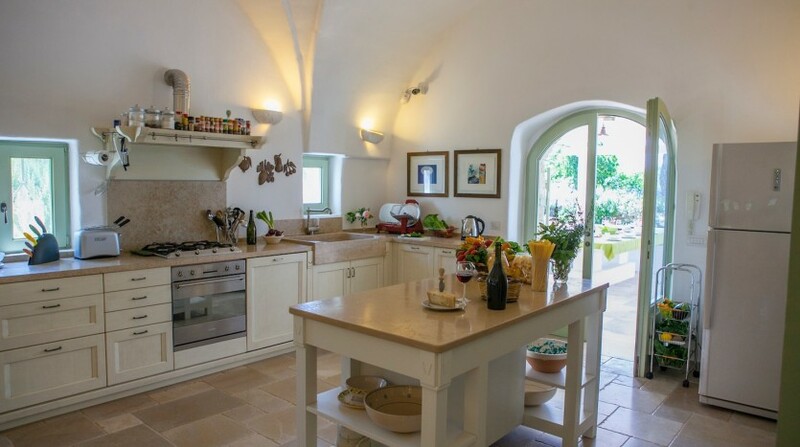 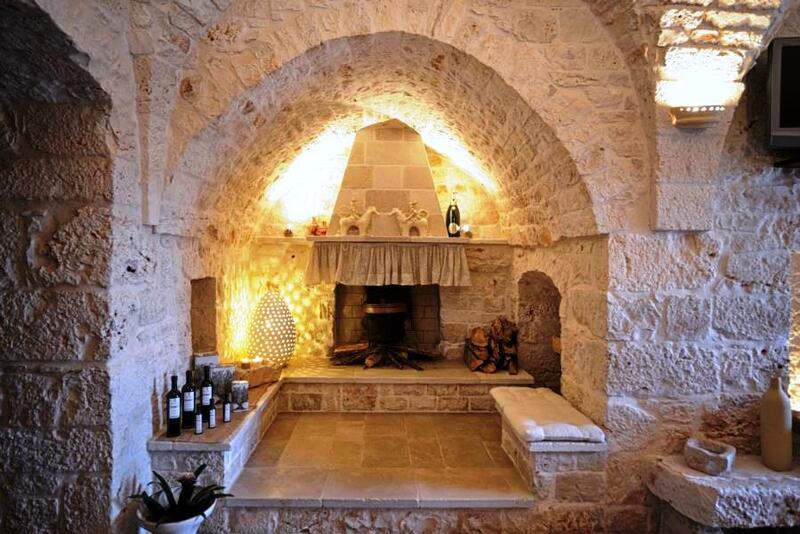 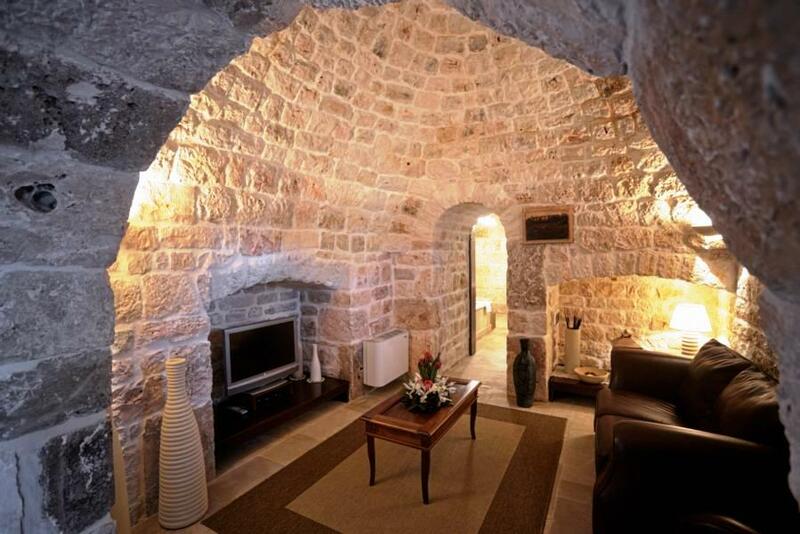 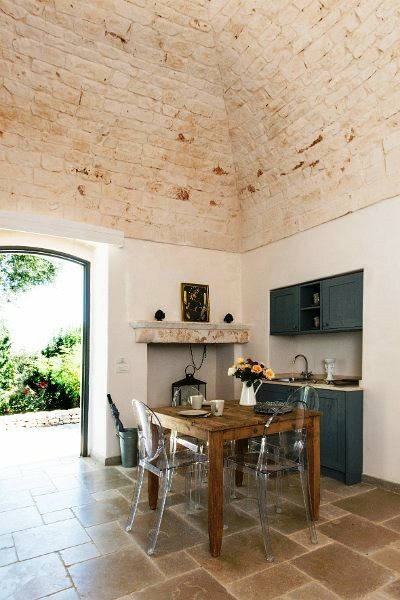 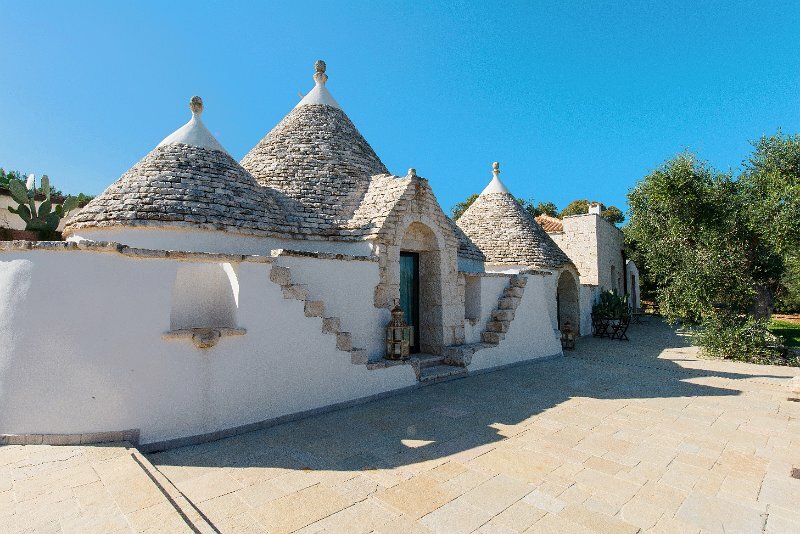 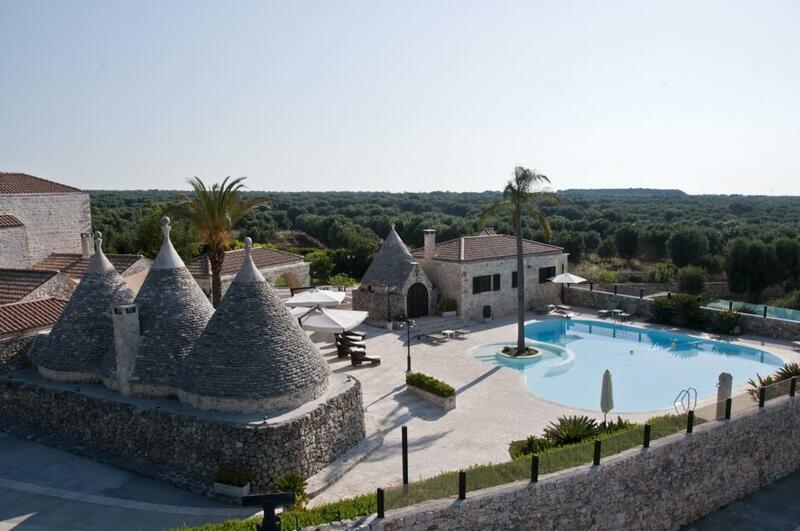 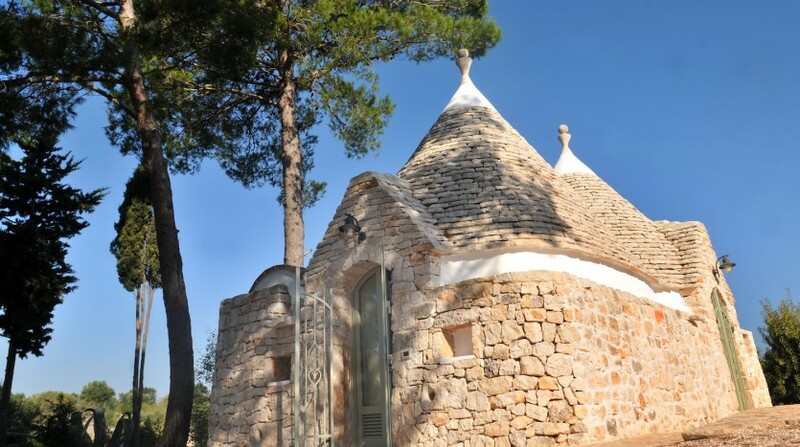 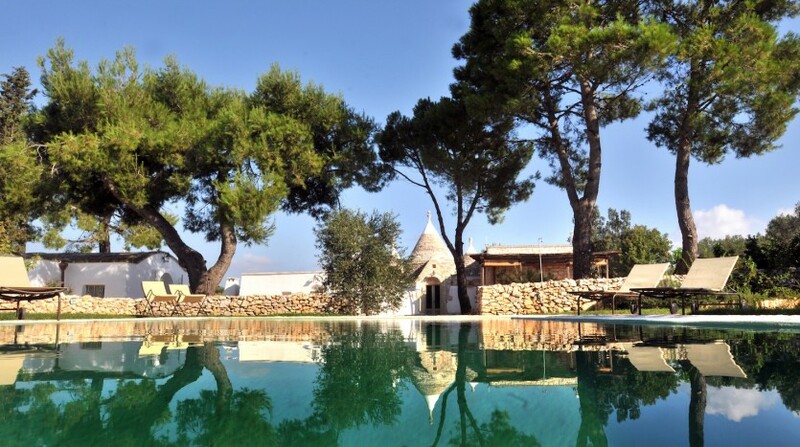 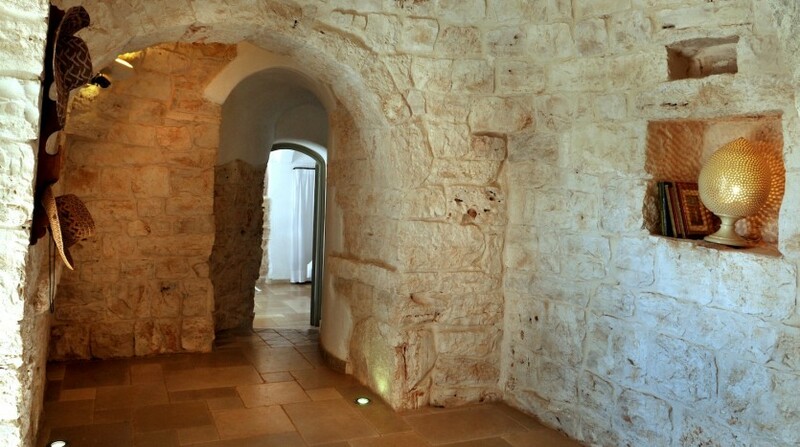 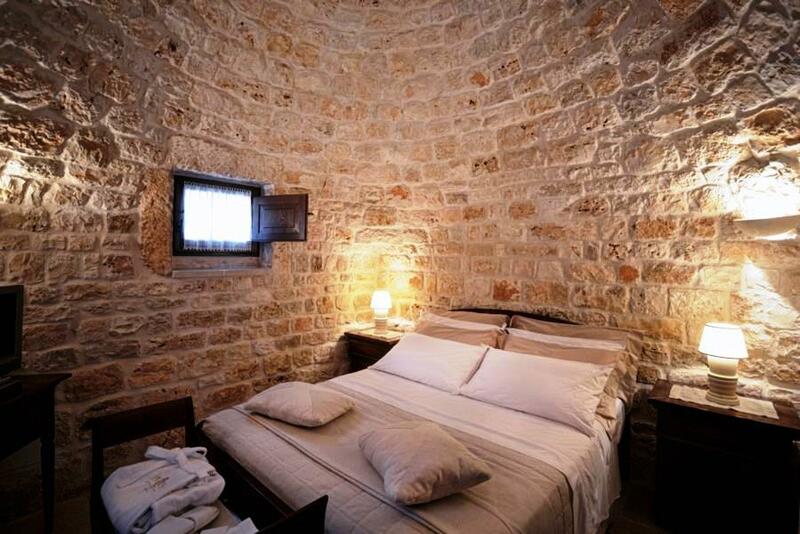 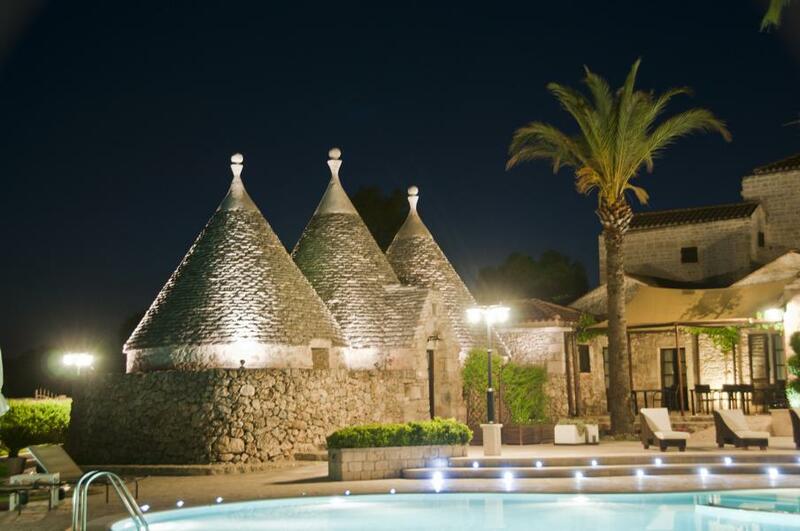 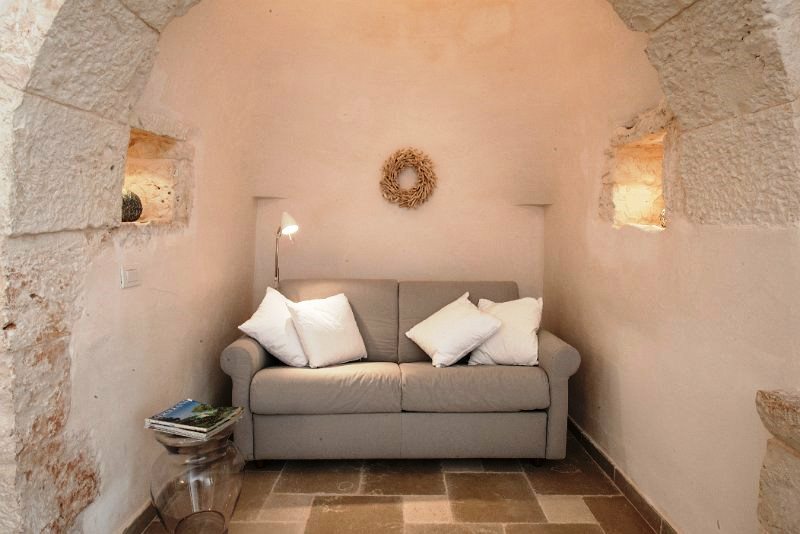 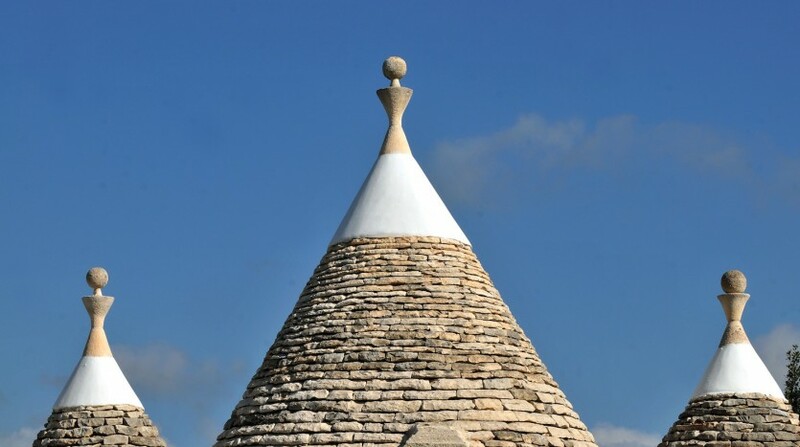 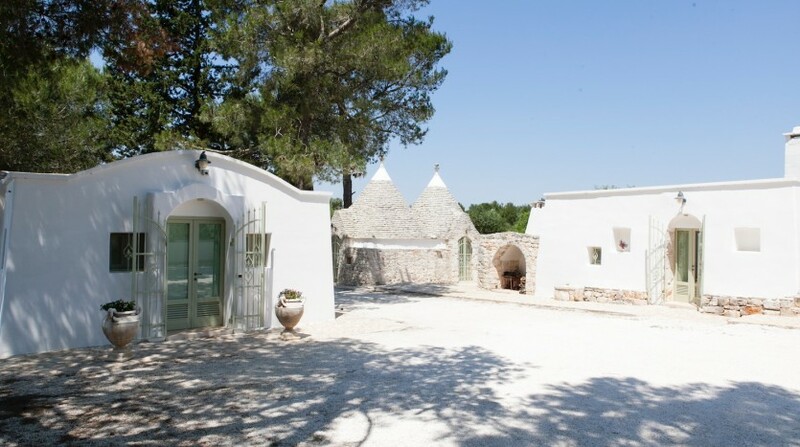 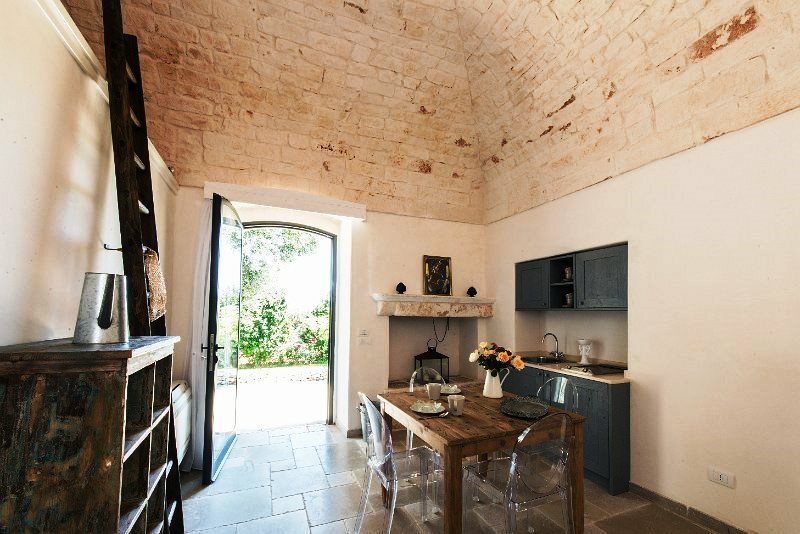 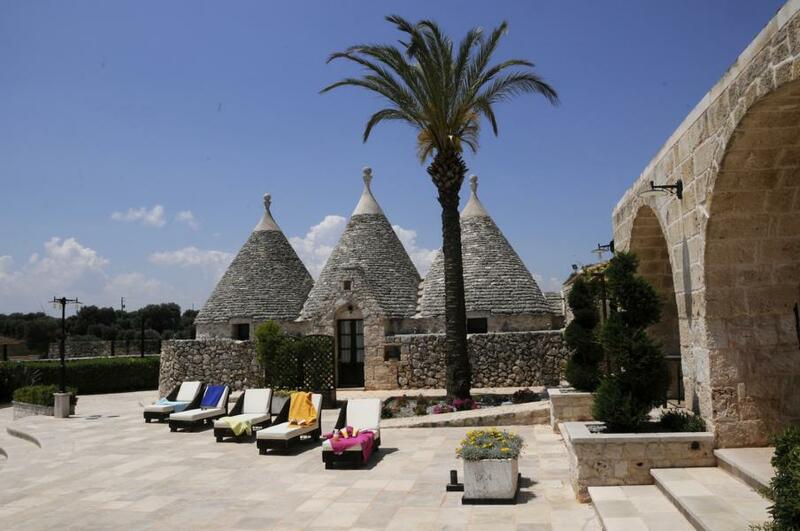 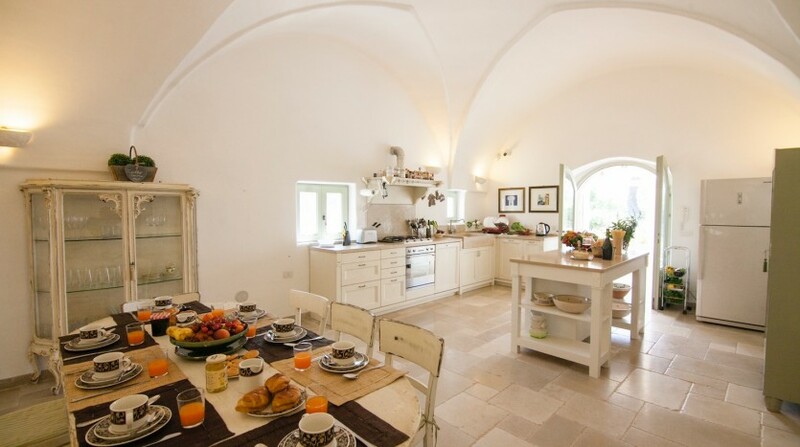 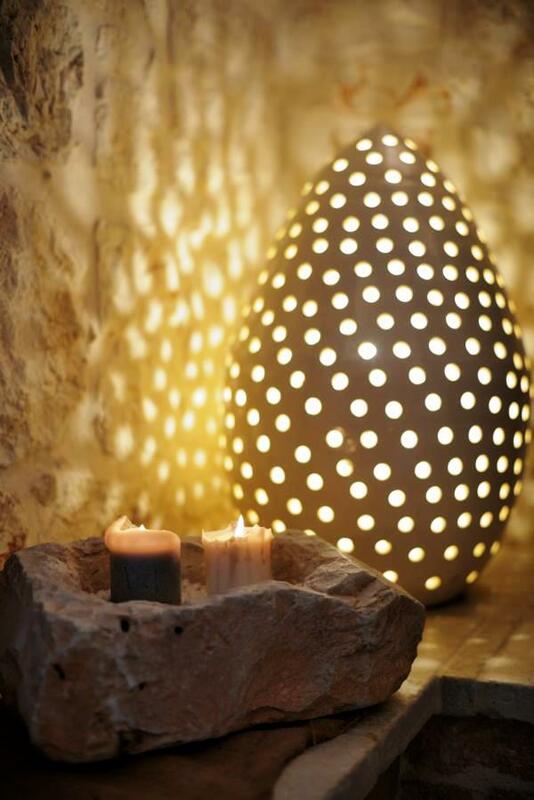 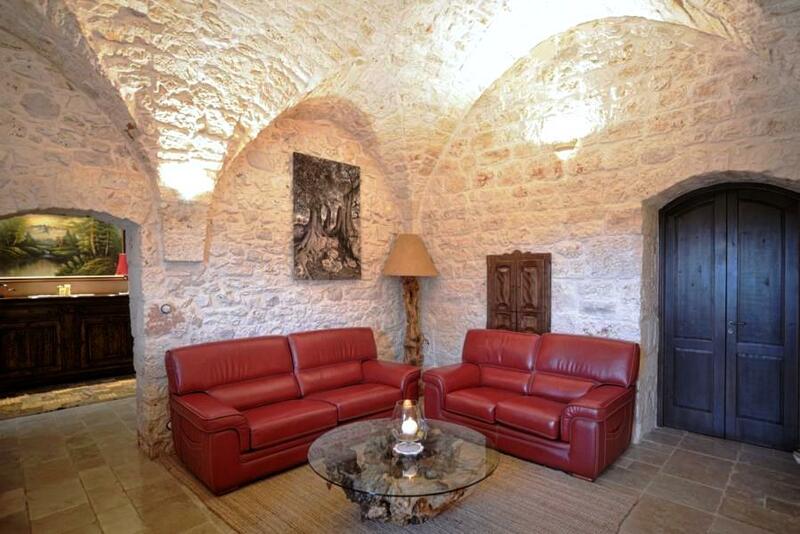 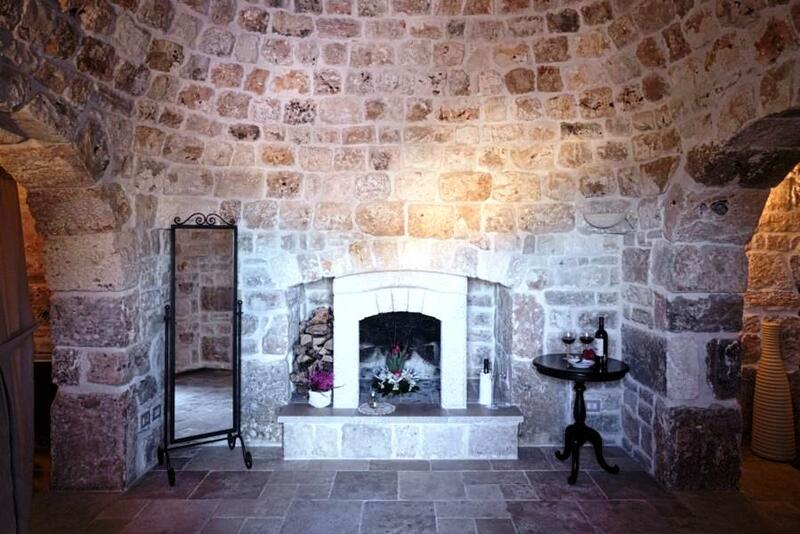 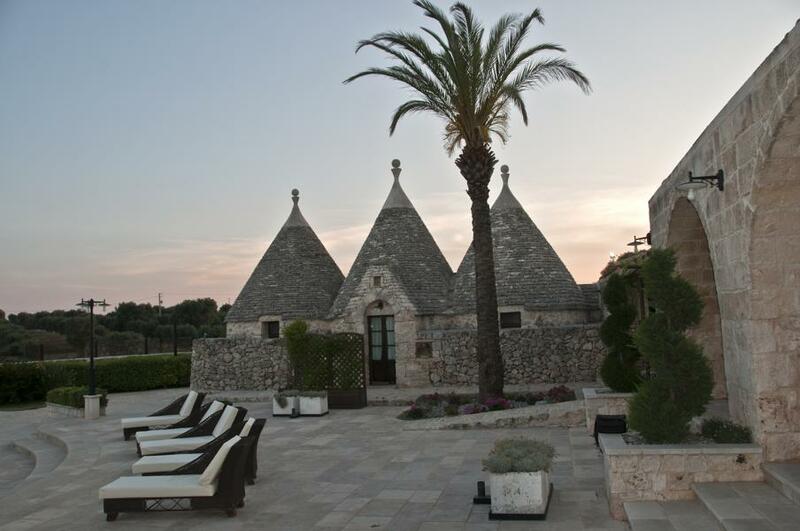 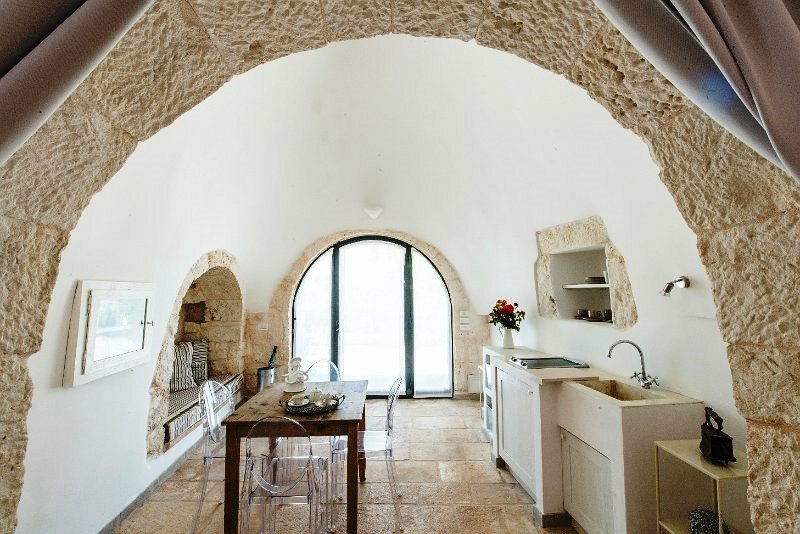 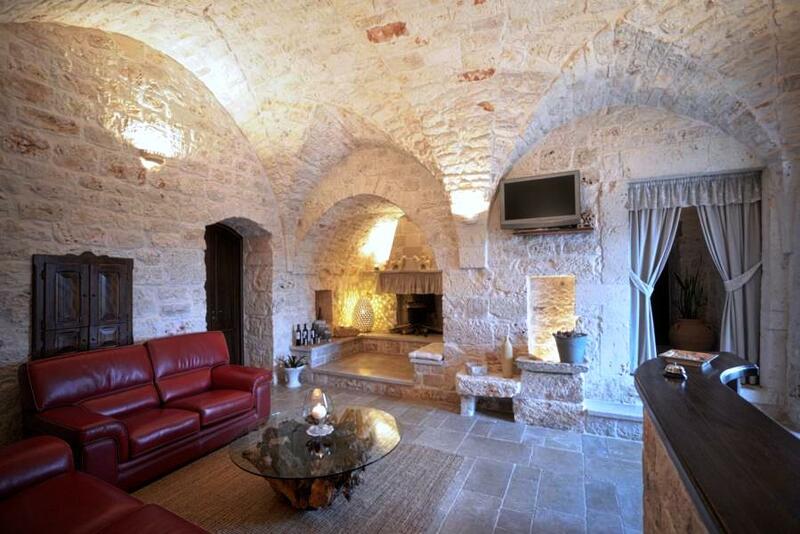 These characteristic conical Trullo have been designed to offer a luxury holiday during the hot summer season, maintaining their cool indoors thanks to the typical thick walls and dome of the buildings, ensuring its guests a pleasant stay in a private holiday rental in the quiet countryside of Puglia. 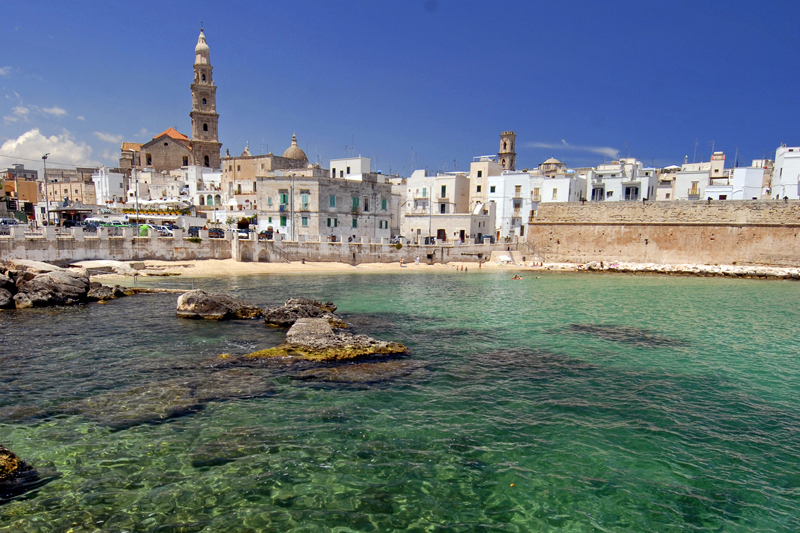 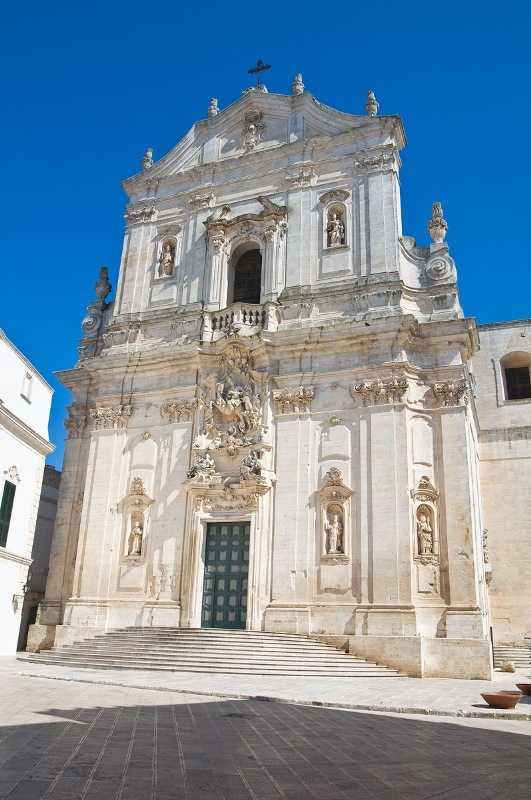 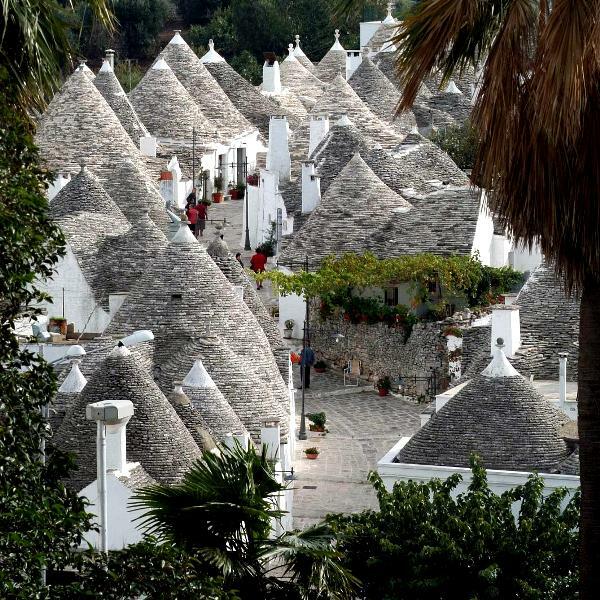 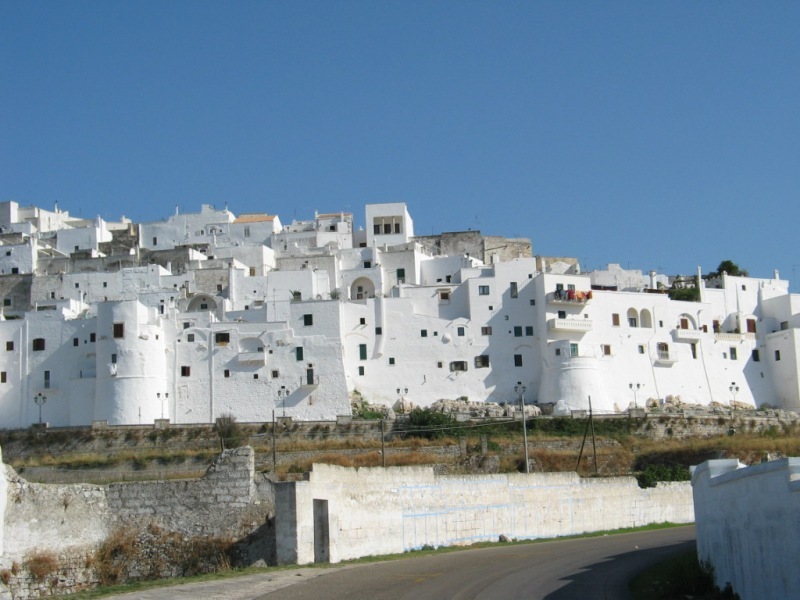 The Itria Valley is also famous as the Trulli Valley, which stretches along the provinces of Bari, Brindisi and Taranto, and the municipalities of Alberobello, Carovigno, Castellana Grotte, Ceglie Messapica, Cisternino, Locarno, Locarno, Martina Franca, Noci, Ostuni, Putignano, San Michele Salentino, San Vito dei Normanni and Villa Castelli. 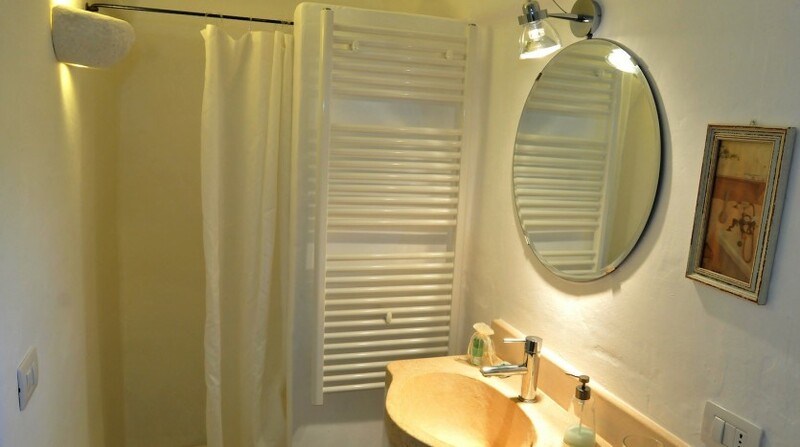 Bed linen, towels, electricity up to 150 kw, water, gas, baby bed, final cleaning. 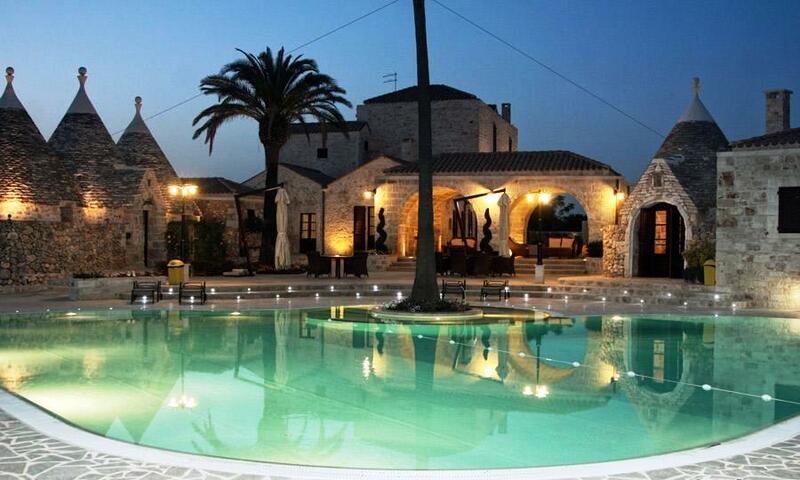 Address: Swimming pool, Quiet location,Large garden.